On this page, you find a listing of the best Windows software. Most of the applications listed here are free, with the occasional commercial program added to the listing. If commercial software is listed here, you can be sure that it is a top of its class product that excels in its vertical. All programs have been carefully vetted, reviewed, and virus-checked to make sure that the list is clean and uber-useful to users of the Windows operating system. The toplist has been divided into several categories and pages for ease of access. While it would have been possible to place them all on one page, it would have grown too big in terms of size and loading time. The decision was made to use broader categories to avoid the creation of too many pages. That's why a category such as Security contains antivirus software, firewalls, rootkit removers and other security related programs. Last but not least, we have also made the decision to add a software companies page to the very end, linking to developers who have earned their trust because of their excellence in the field. 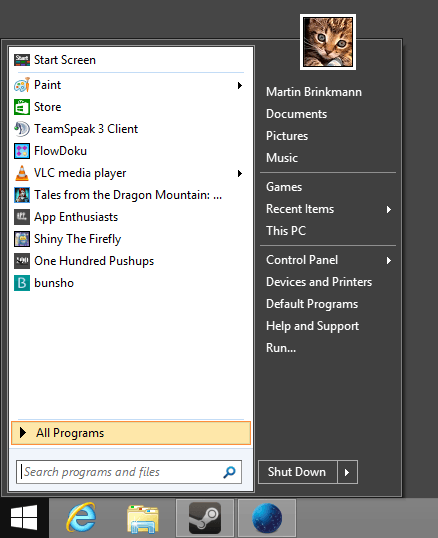 The Appearance category lists programs that change how the operating system or programs that you run on it look like. This can be a program to change wallpapers automatically, total conversions, or other programs that let you modify the look of a Windows operating system. Classic Shell is probably best known for its start menu that it can add to the Windows 8 operating system. It can modify the start menu of other Windows versions as well, and change other elements of the operating system like Internet Explorer or the Shell if you desire. Rainmeter can change the look and feel of the desktop in many ways. From different skins to widgets that display all sorts of information.While it is not that easy to create skins of your own, the sheer number of available ones is reason enough to give this a try. 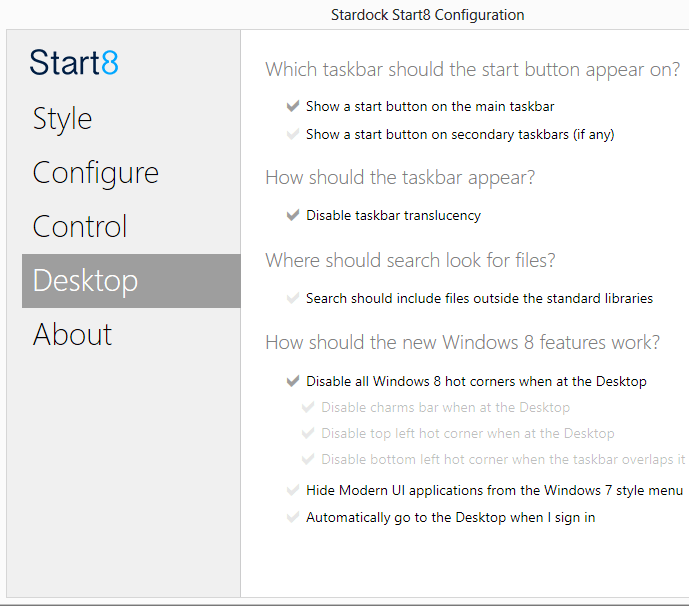 Start8 is one of the programs that adds the start menu back to the Windows 8 operating system. It offers several features besides that, for instance options to disable hot corners or better control options. Start10 is a similar application for Microsoft's new operating system Windows 10. 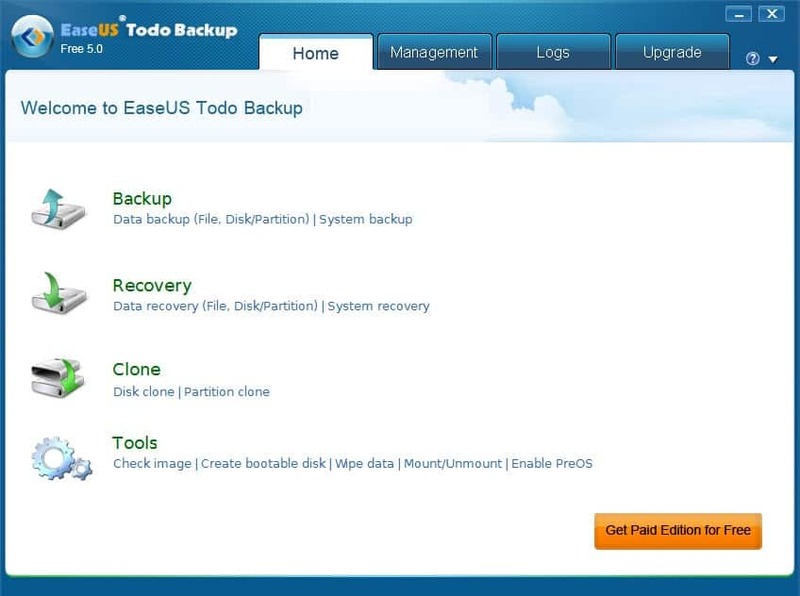 Backup and recovery lists tools that provide you with the means to backup data to restore it at a later point in time. 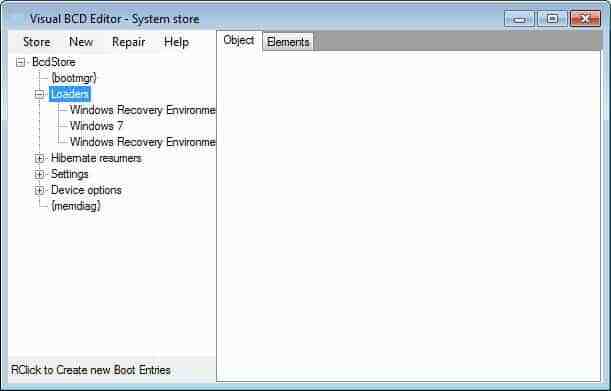 AOMEI Backupper is a free backup program for Windows that supports a wide variety of backup, cloning and restoration related tasks. You can use the program for syncing data in real-time, for cloning drives, and for regular backup jobs such as backing up select files and folders, or backing up entire hard drive partitions. 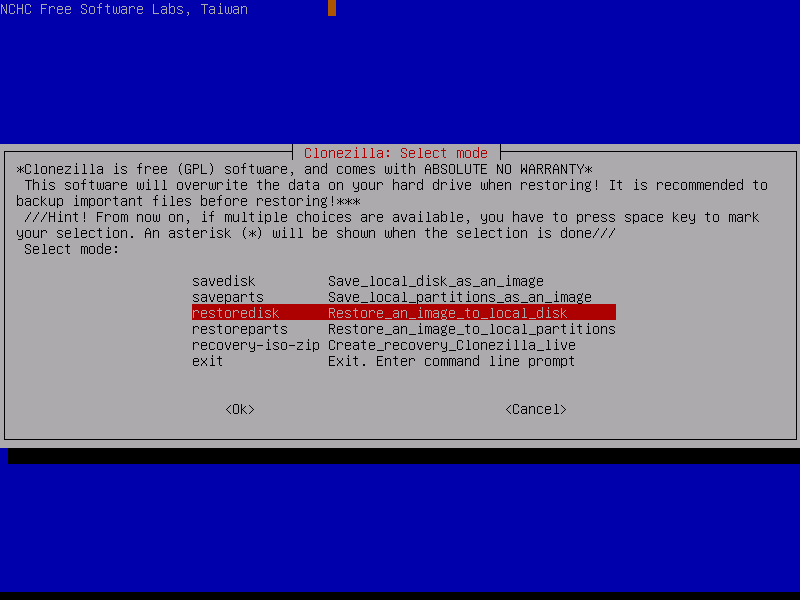 Clonezilla is a bootable Linux distribution that provides you with access to tools to clone hard drives or create disk images. 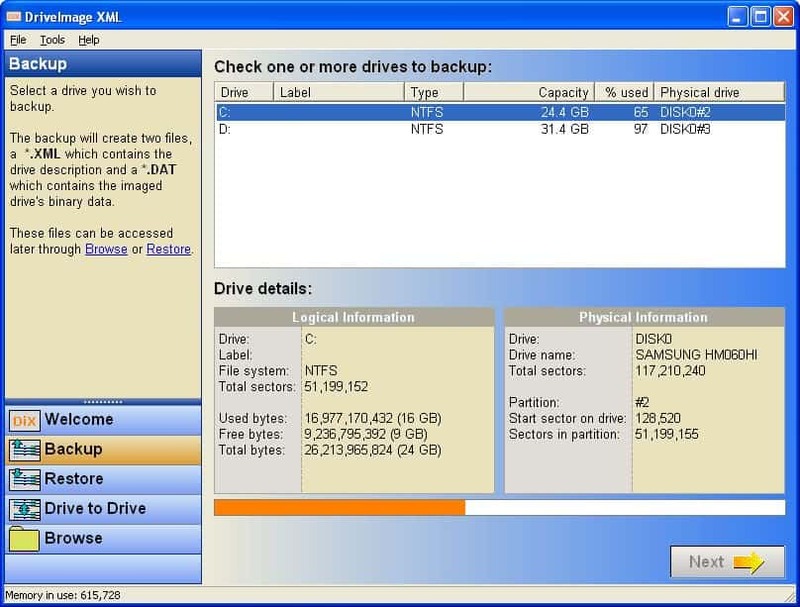 DataRescue DD can create an image of any hard drive partition but the system partition. The ide abehind it is to create a backup so that it can be restored at a later point in time. The backup software enables you to backup logical drives or partitions to image files, browse and extract those image files, and restore the images to another drive. Another interesting feature is drive to drive copy, and the option to schedule automatic backups. Dumo (Driver Updates Monitor) is a free program that scans your system for devices and installed drivers, to check those drivers against a database to see if updates are available. If that is the case, these updates can then be downloaded and installed. 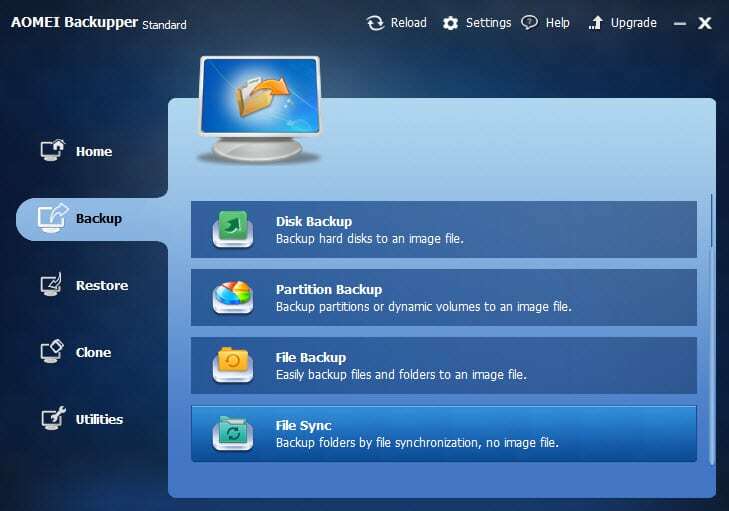 The free backup software offers one-click backups of the system and recovery options, as well as options to backup a hard drive or partition. If you want to remove files securely from your system, you may want to use a tool like Eraser for that. It overwrites data -- either selected data or the free space on the drive -- so that file recovery software cannot recover data anymore. FilExile has been designed to remove directories and files that cannot be deleted by normal means, for instance if they are somehow locked by the system, if the path is too long, or if the name of the file or folder is invalid. 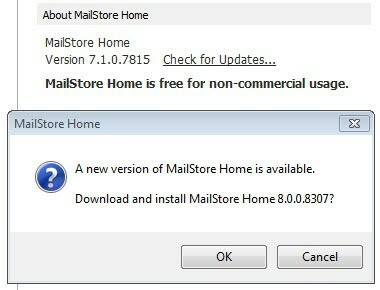 Mailstore Home is an email backup software. 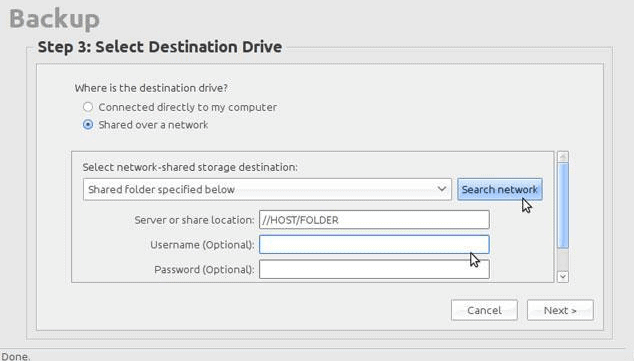 You can use it to backup emails stored by local email clients such as Thunderbird or Outlook, or remote clients via Pop3 or IMAP connections. 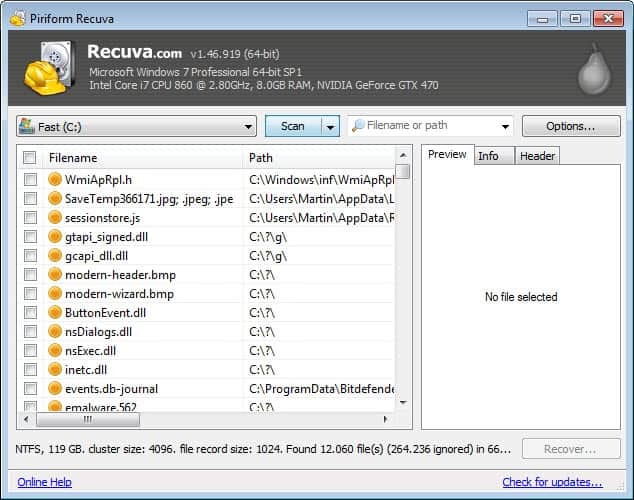 Recuva is a file recovery software for the Windows operating system. You can use it to restore files that have been deleted before on the computer's hard drive. Redo Backup & Recovery is a portable backup solution for Windows and Linux that runs from CD or USB. You can use it to backup Windows or Linux systems, to recover important files, and use network shares as well. Unstoppable Copier can be used to copy data off a drive. Unlike other programs which may simply stop when errors occur during the process, it will copy data from damaged hard drives and disks. 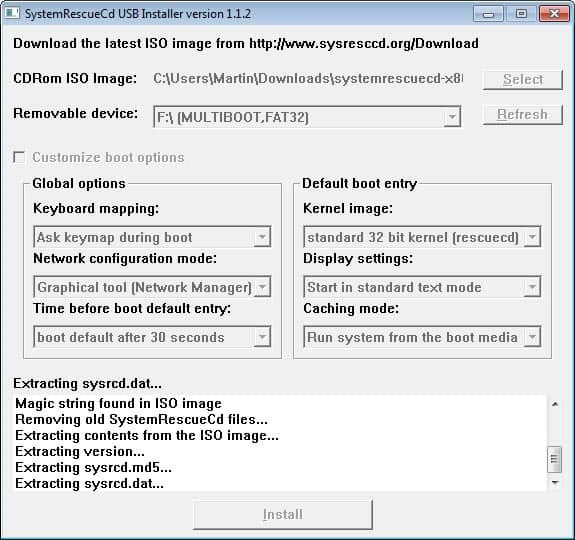 SystemRescueCD is a Linux based rescue disk that you can boot from CD or USB. It provides access to maintenance, system management and troubleshooting tools. TestDisk is a data recovery software that provides you with a whole array of features. Use it to fix partition tables, rebuild boot sectors, or fix the MFT among other things. 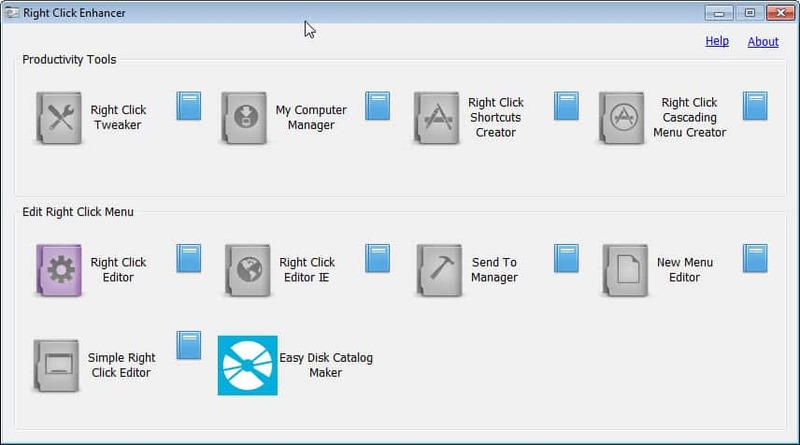 You can use the program to write disk image files (img format only) to devices connected to the computer. 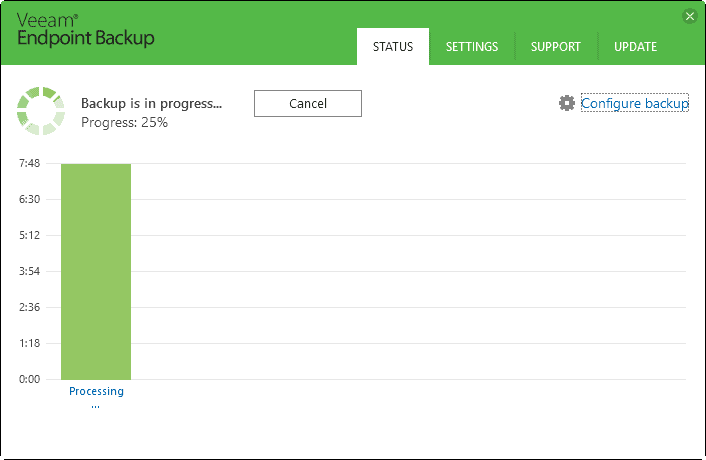 Veeam Endpoint Backup Free is the backup software that I'm using to backup hard drives on my Windows PCs. You can use it to backup the entire computer, volumes, or files. The program offers a wide range of preferences that enable you to configure and schedule backup jobs. The Communication group includes messaging software programs, Internet telephone, email and other communication tools. 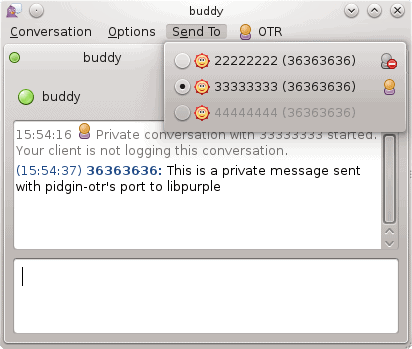 Pidgin is a cross-protocol and -platform chat client that supports a variety of popular networks you can connect it to. 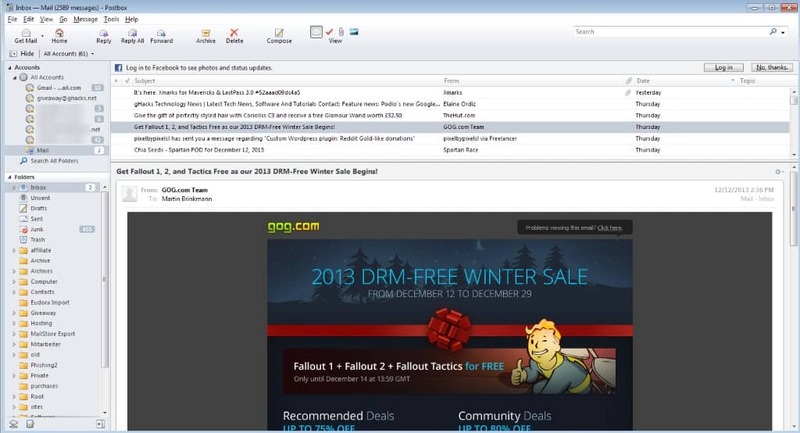 Postbox is a commercial email client based on Thunderbird. It offers build-in features that Thunderbird does not offer such as better Gmail integration, a powerful tagging system, and several other features that improve productivity. 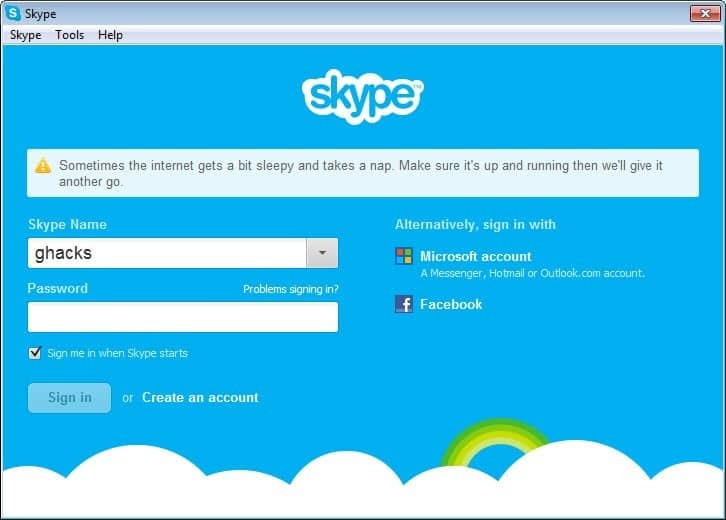 Skype is an easy to use communication software for Windows. It supports telephone, video telephone as well as chat messaging. Teanspeak is a voice communication software that is available for multiple platforms. It is popular in the online gaming world, but can also be used for other purposes. 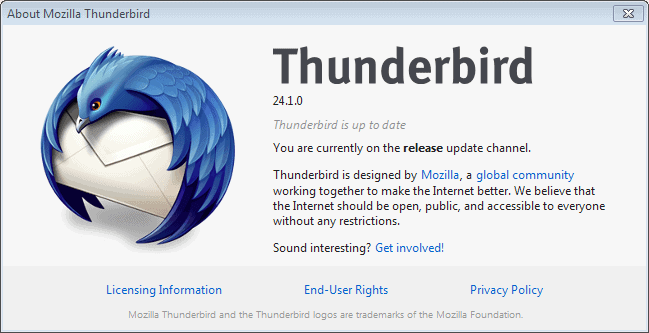 Mozilla Thunderbird is a popular cross-platform email client. It supports other forms of communication besides email, including chat, RSS and newsgroups. Development software that runs on Windows is listed here. This includes entire development environments as well as smaller programs that help developers in other ways. Filezilla is an ftp client and server for the Windows operating system. It supports ftp, ftps and sftp connections, IPv4 and IPv6, and the majority of features that you would expect from a ftp client. 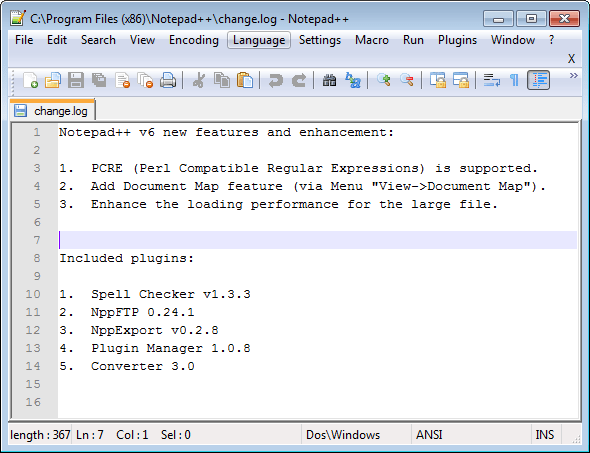 Notepad++ improves the standard Notepad text editor of Windows in many ways. It has been designed to support many programming and scripting languages out of the box, supports plug-ins, and dozens of other features. PNG Gauntlet reduces the size of PNG images. This is an ideal tool for webmasters who want to speed up the loading times of their websites, as they can save data without impacting the quality of the images. Sublime Text is a very versatile text editor for code and markup languages. 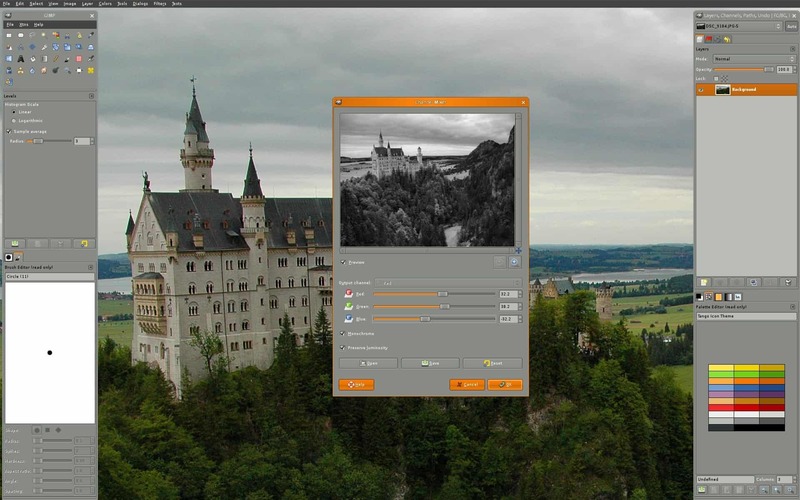 It offers an impressive set of fetaures including split editing, multiple selections, a distraction free mode, instant project switching and more. VirtualBox is a software virtualization environment that you can use to run another operating system on your machine. This is often used for testing purposes during development. 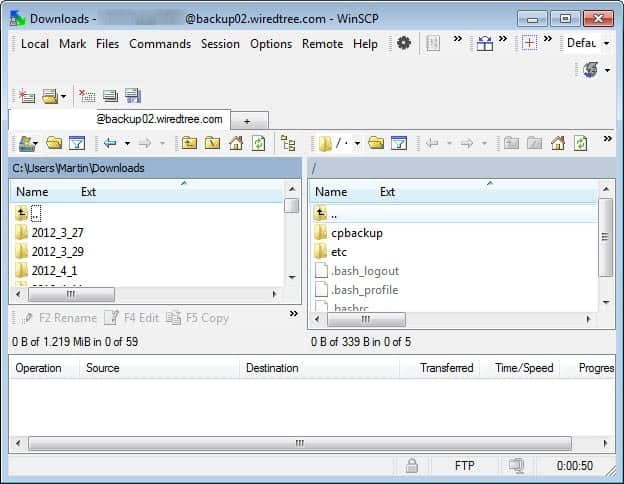 WinSCP is a versatile ftp, sftp and scp client for Windows. It supports a wide range of synchronization and authentication features that make it ideal for development purposes. 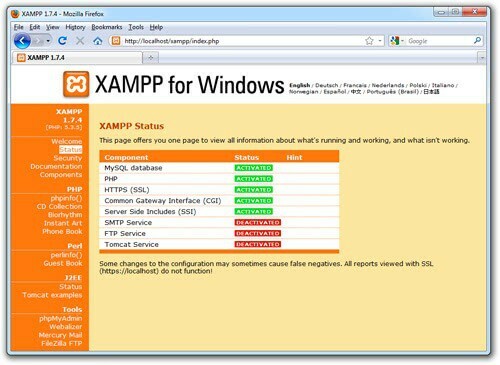 XAMPP installs a full-fledged Apache web server on the local Windows system. It ships with MySQL, PHP and Pearl, and provides you with an environment that you can use to develop and test locally. Programs that aid you in the management of files on your system are listed here. This includes file browsers, but also other file related programs such as archiving software or viewers. 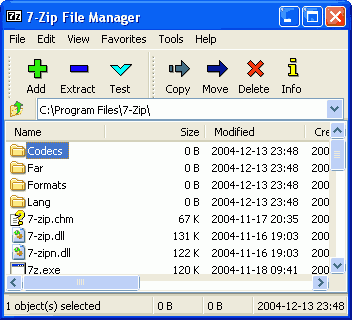 7-Zip is an open source file archiver that supports its own format 7z and the majority of other popular formats, at least when it comes to unpacking archives packed with them. 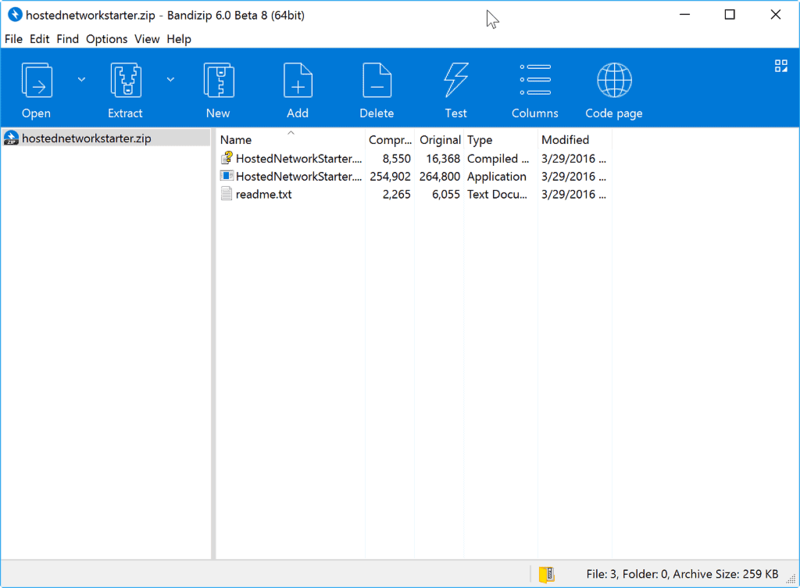 Bandizip is a popular archive program that supports all major archive formats among other things. It supports all the things you'd expect from a program of its kind: use it to create or extract archives, customize archives with passwords and other features. 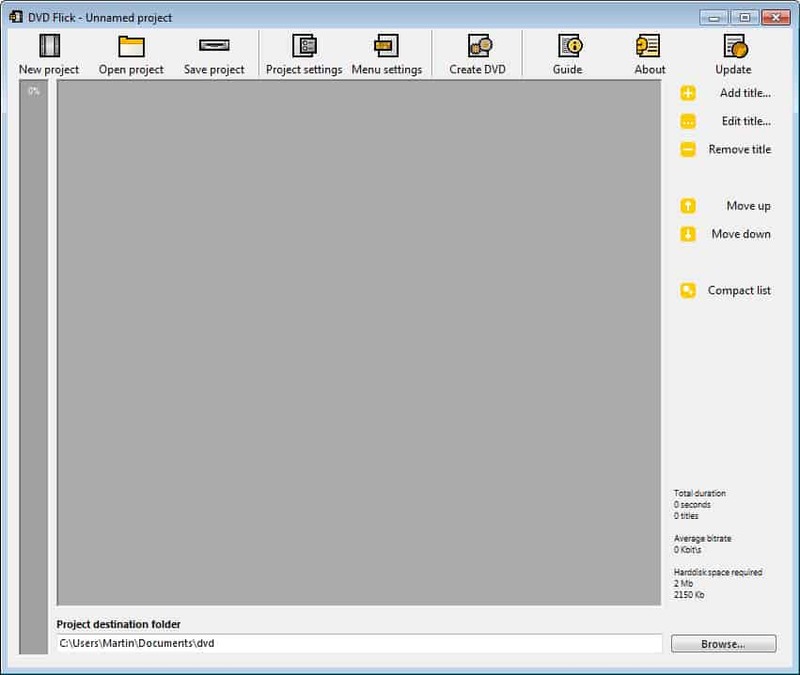 BurnAware Free is a free -- limited version -- of the popular burning software. You can use it to run all basic disc burning tasks on Windows. This includes the burning of data discs, media discs, as well as custom discs. 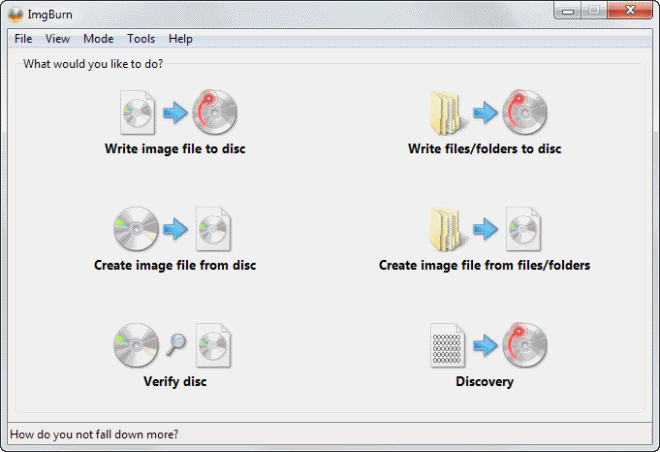 A free disc burning software for Windows that supports all important disc burning tasks. You can use it to create data, audio and video discs, burn ISO images, or copy discs. 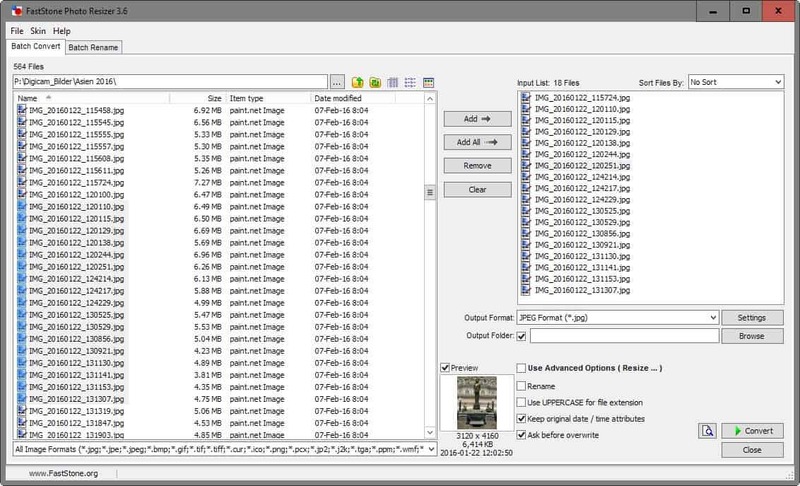 DiskCat is a free disc cataloging software for CD, DVDs and other optical discs. DropIt improves certain file operations for you. 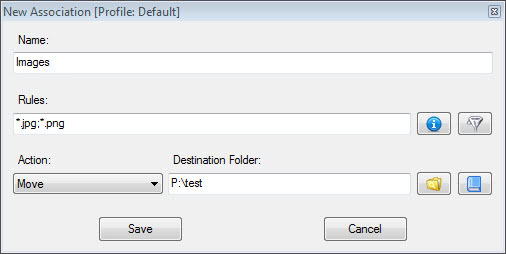 You can either invoke those manually, or configure the program to monitor specific folders at all times so that they are performed automatically instead. Everything is a blazing fast desktop search program for Windows. Use it to speed up file searches on the operating system. File Optimizer can reduce the file size of select file formats such as Docx, PDF, Png or MP3 to save disk space and speed up data transfers. 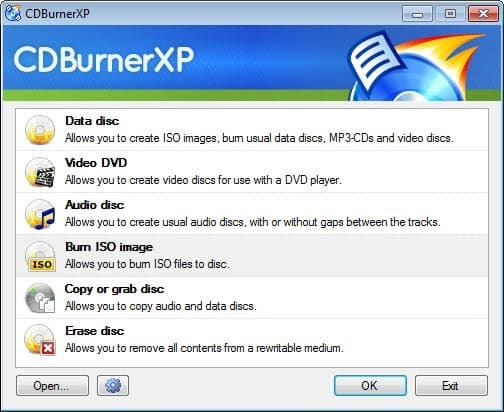 ImgBurn is a free disc recording software for Windows. It supports all burning tasks that you will ever need, and while its interface takes some getting used to time, it is definitely one of the best programs in its niche. 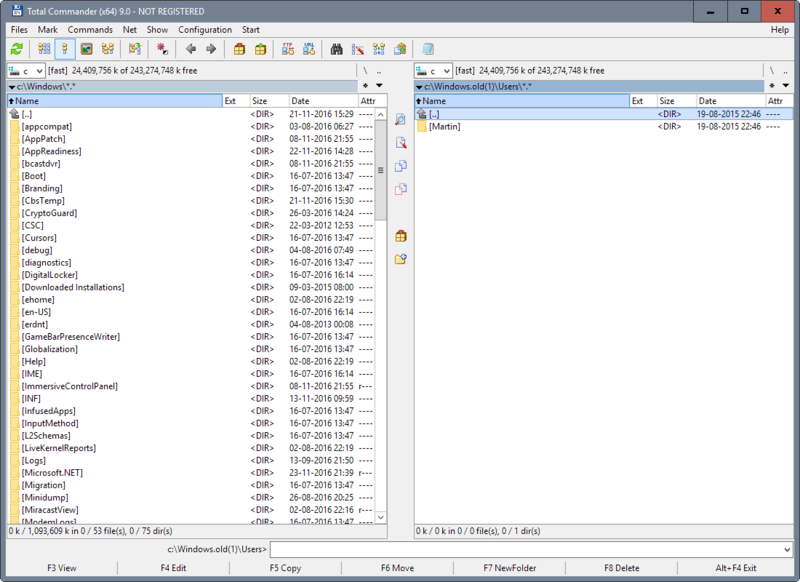 PeaZip is an excellent archive manager for Windows (and Linux) that is fast, light on resources, and supports the extraction and creation of file archives on the operating system. Supports all the other features such as password protection as well. 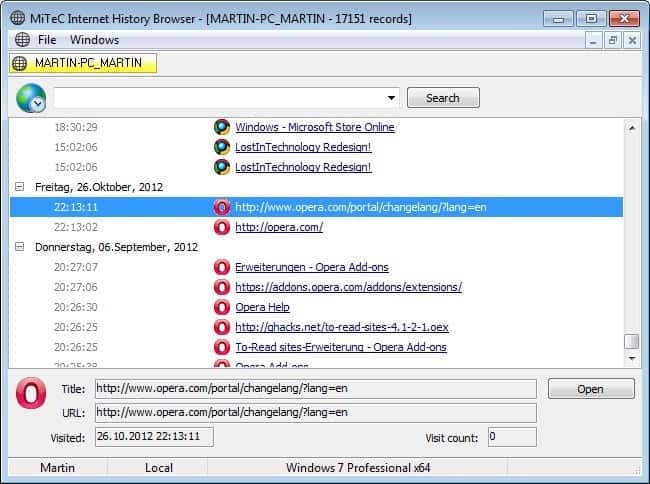 Search my Files is an alternative search tool for Windows. It improves search in many ways, for instance by adding regular expression support to it or dozens of information about the files. 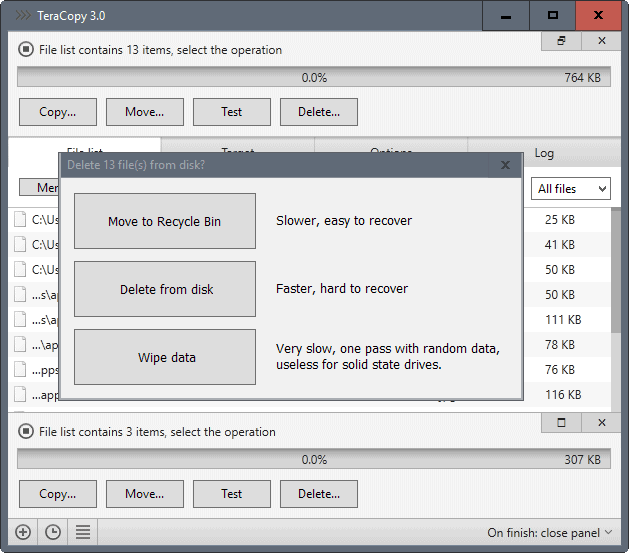 TeraCopy is a long-standing, free file copy program for Windows that aims to speed up transfers using algorithms. 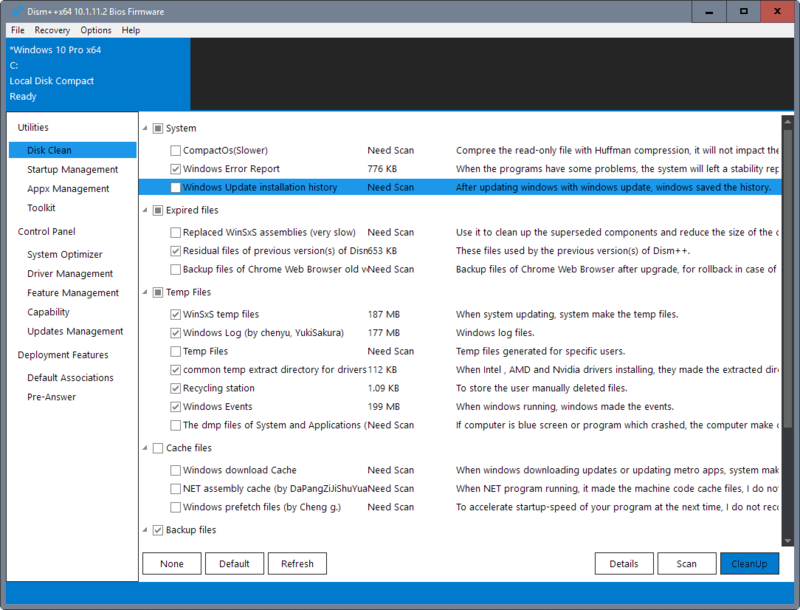 The program supports a queue, pause option, and other features that Windows Explorer lacks. 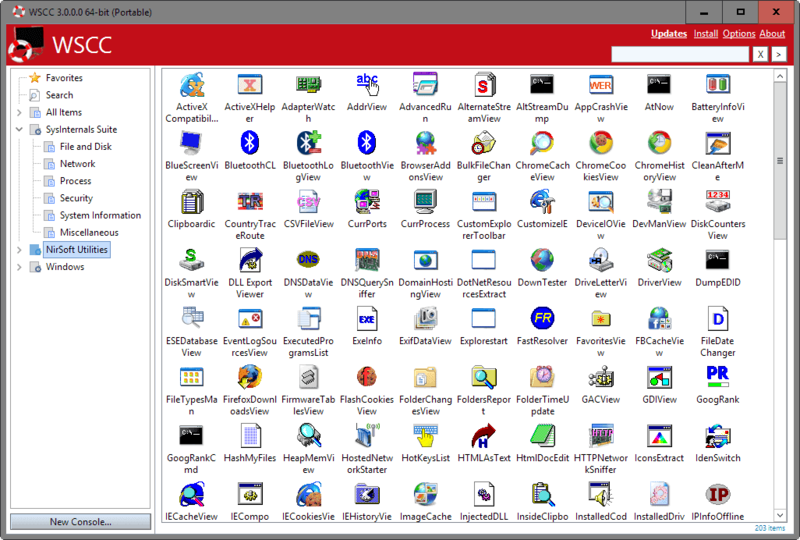 Total Commander is a third-party file manager, a replacement for Windows Explorer of the Windows operating system. It features two pane and a truckload of extra features that include support for many archive formats, quick view panels, file comparison, better search, better customization options and more. Unlocker takes care of files and folders that cannot be deleted in Windows. Tools that require the Internet to function, or use the Internet for functionality. Web browsers fall into this category, as do tools such as download managers and P2P software. 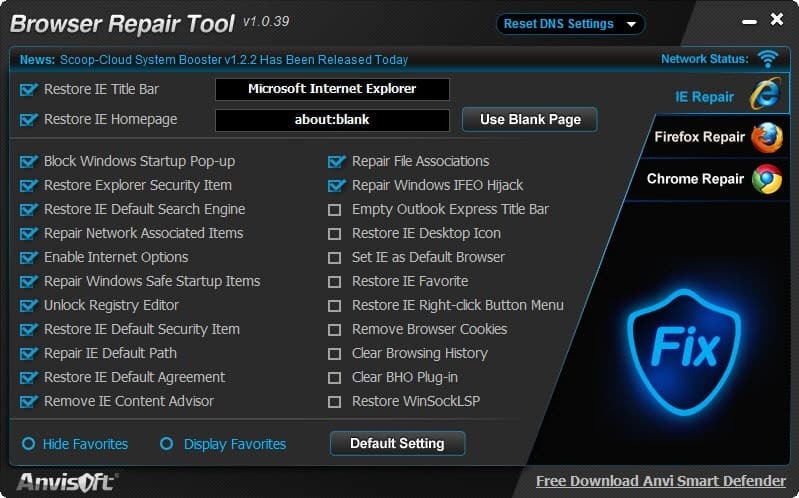 Browser REpair Tool offers to repair Internet Explorer, Firefox or Google Chrome, to restore its original functionality or repair issues that you are experiencing while using the browsers. 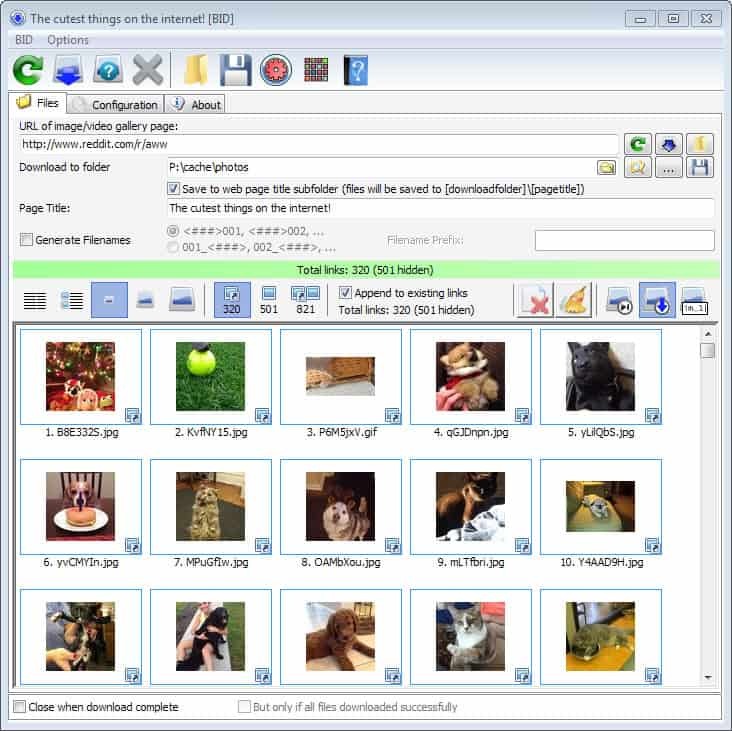 Bulk Image Downloader is probably the most versatile flexible image downloader for Windows. It can parse multiple pages at once for images so that you can download them in one go almost effortlessly to your system. 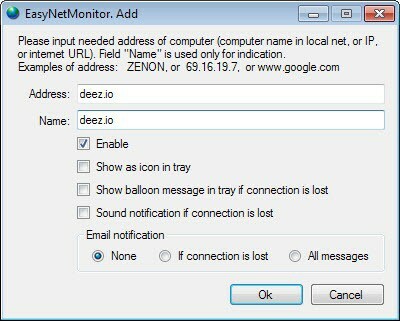 The program provides you with the means to monitor remote or local hostnames, domains or IP addresses. It will information you if a site becomes unavailable so that you can react immediately. Firefox is a popular web browser developed by Mozilla. It has many appeals, from being the most customizable browser to its impressive extension support. 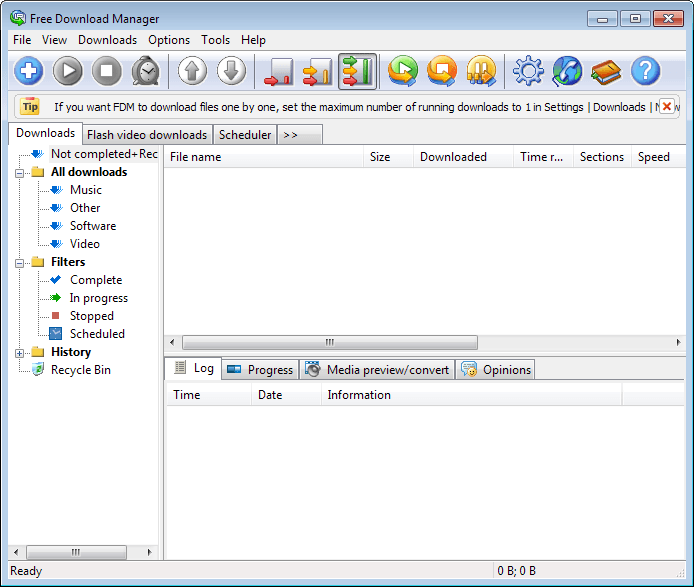 A free download manager for Windows that is available as lite and regular version. The full version supports Bittorrent downloads among other features, which you can add as plugins to the lite version. 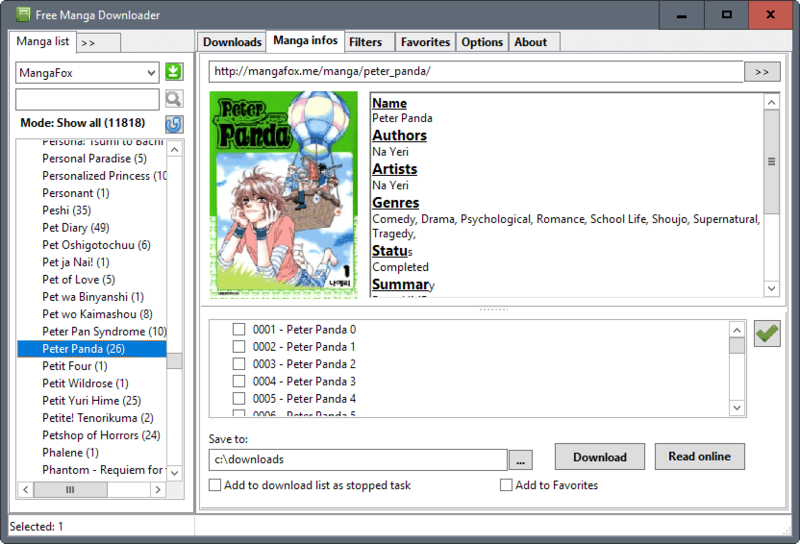 Free Manga Downloader is a free program for Windows which you may use to download manga from several repositories on the Internet. The program supports search, filters, different languages, and a variety of other options including automatic downloads of new chapters. 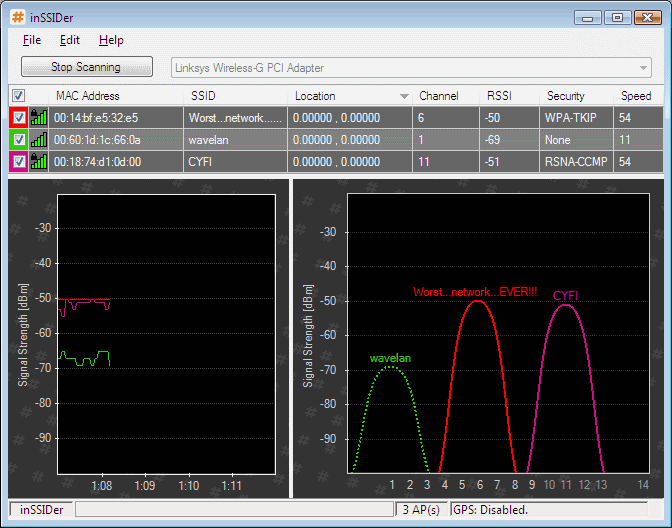 inSSIDer scans the local area network for wireless access points, and displays all that it finds in a list. Use it to find the best channel for your own wireless router, to resolve conflicts, or to troubleshoot your wireless connection. 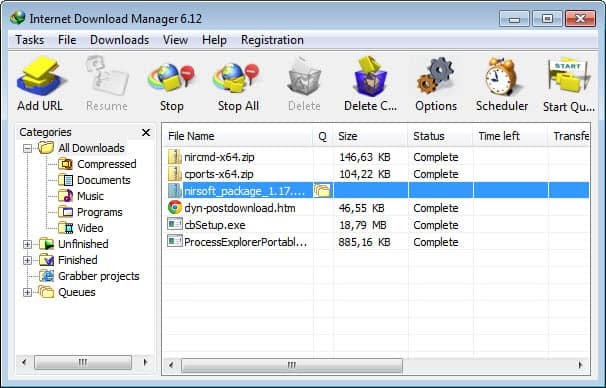 Internet Download Manager is a versatile file downloader for Windows. It integrates with various web browsers, but can be fed with download links directly as well. The program ships with all the bells and whistles that you'd expect from it, including authentication support, scheduling, profiles and a lot more. The program displays the combined history of popular web browsers like Internet Explorer, Firefox, or Google Chrome in its interface. 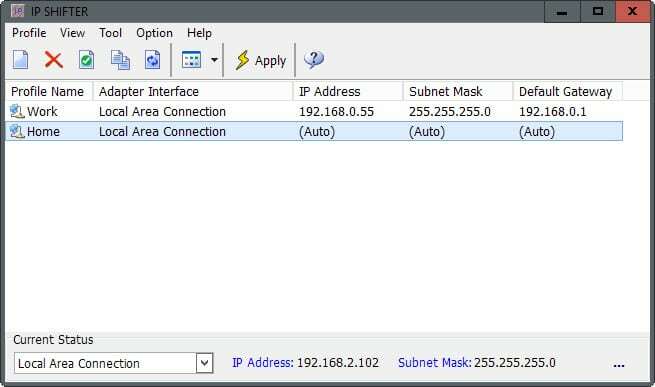 IP Shifter is a free program that you can use to switch between different network profiles with the press of a button. Map Puzzle is an excellent program for Windows to download maps from several online mapping services including Google and Bing Maps. The program is easy to use, and gives you full control over its functionality. Pick a place, select the dimensions of the map you want to download as well as the zoom level, and let the program do the rest for you. MiPony is a file downloader that supports direct downloads as well as downloads from dozens of file hosting services such as Mediafire, Mega, Filefactory or Sendspace. The -- in my opinion -- best Usenet client for Windows. While not free, it has a lot to offer. You can add as many servers as you want, use the excellent search to find articles in the local database, or use the Internet search option to find them this way. It supports everything you'd expect it to support, and then some. QBittorrent is a cross-platform Bittorrent client that is an excellent alternative to the popular uTorrent client. It supports all features that you'd expect a client to support. uTorrent is without doubt the most popular Bittorrent client, at least on the Windows platform. It is lightweight and fast, even though it has become bloated in recent time with feature additions that are not directly related to the downloading of torrent files. Use UltraVNC to display the screen of another computer on your own. This works both over a network and the Internet, and can be used for remote jobs, tech support, or simply controlling another PC through the one you are using. 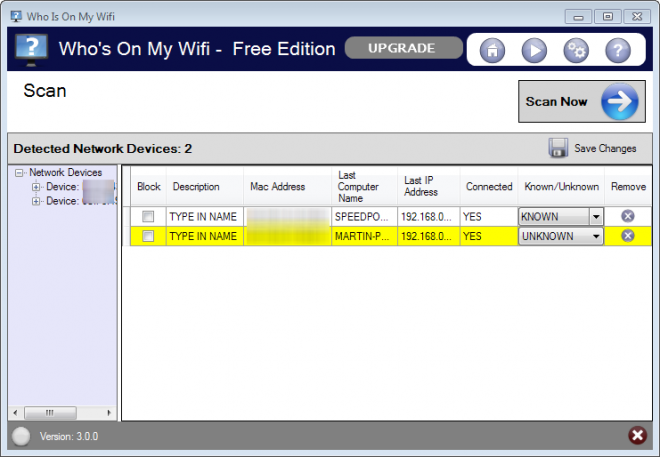 Who is on my WiFi checks your network for wireless freeloaders, that is neighbors and others that use your wireless Internet connection without authorization. This is done automatically in the background. Applications that let you view or edit media files are listed here. From converting videos and audio files to viewing images and streaming media. 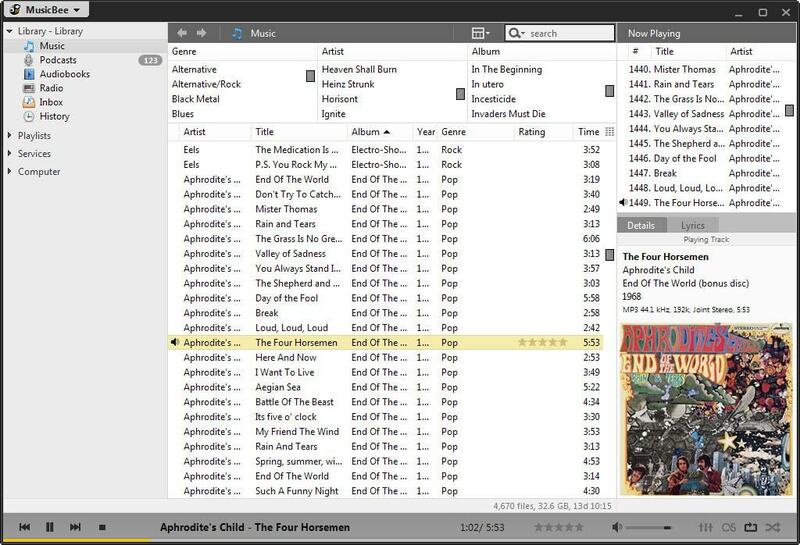 AIMP is an excellent music player for Windows. It plays nearly every audio file out of the box, supports lots of additional features besides playback, and is still lightweight and easy to use. 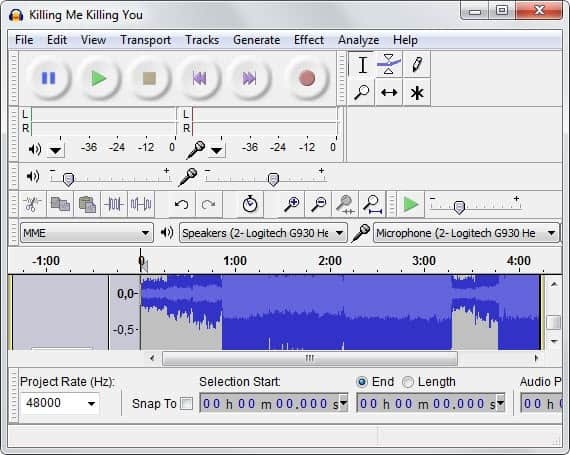 Audacity is a cross-platform audio recorder and editor. You can use it to record any sound playing on your computer -- or the environment if you are using microphones -- and to edit the recorded sounds or audio files that you load into the program. 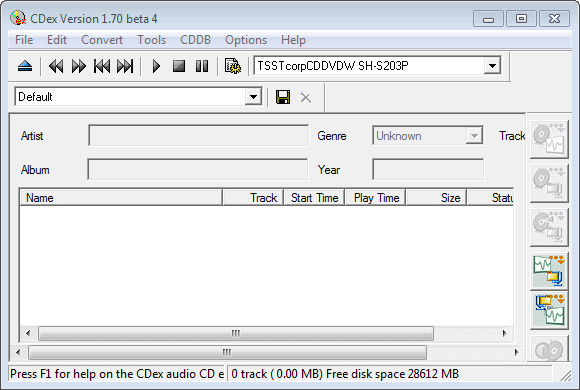 You can use CDex to rip music CDs to mp3 format, so that you can play the music on your computer or other devices. This is one of the best programs to turn any video source file into a video DVD. Just add the files and let the program do the rest. You can pick various themes for the DVD menu and make other modifications to the process as well if you want. 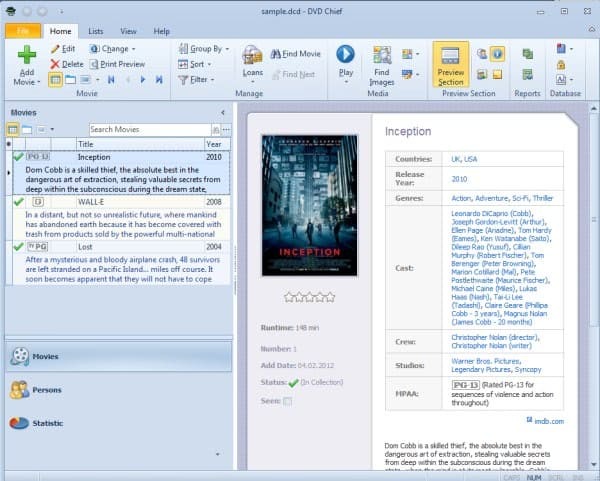 A movie collection software for Windows. Use it to keep an overview of all of your movies. It features interesting options, like pulling data from various Internet databases, or launching movies right from the interface. 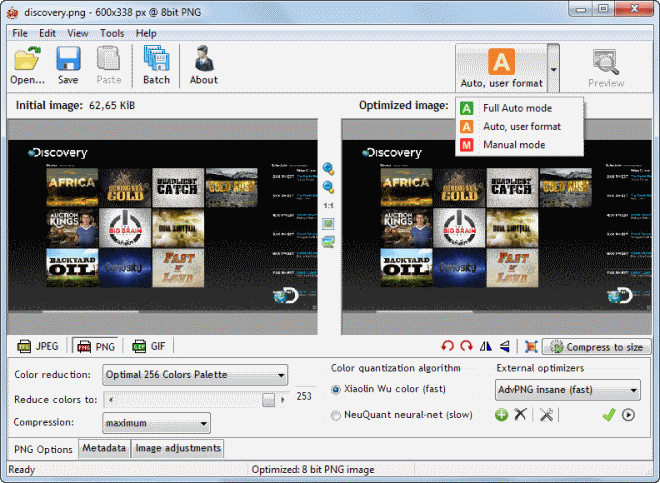 The DVD authoring tool DVD Flick can be used to turn video files into video DVDs. It supports over 45 different file formats and advanced features such as DVD menus, subtitle support and more. You can use DVD Shrink to create copies of video DVDs, or backups on your local system. FastPictureViewer is probably the fastest image viewer for Windows. It can do a lot more than that though, as it has been designed to quickly go through a large list of photos after a photo shoot. 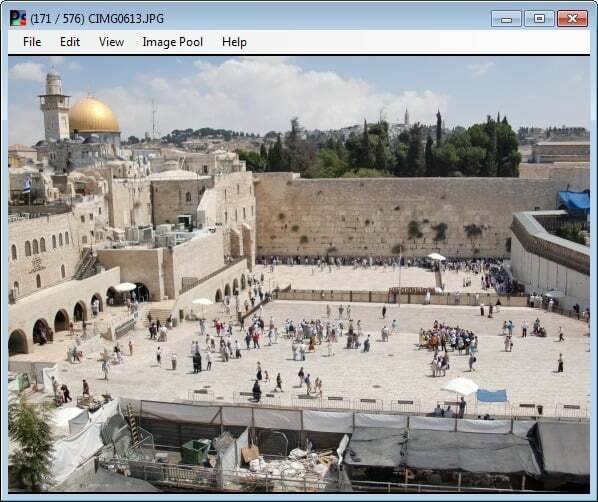 A powerful image viewer for Windows that can open many popular image formats. 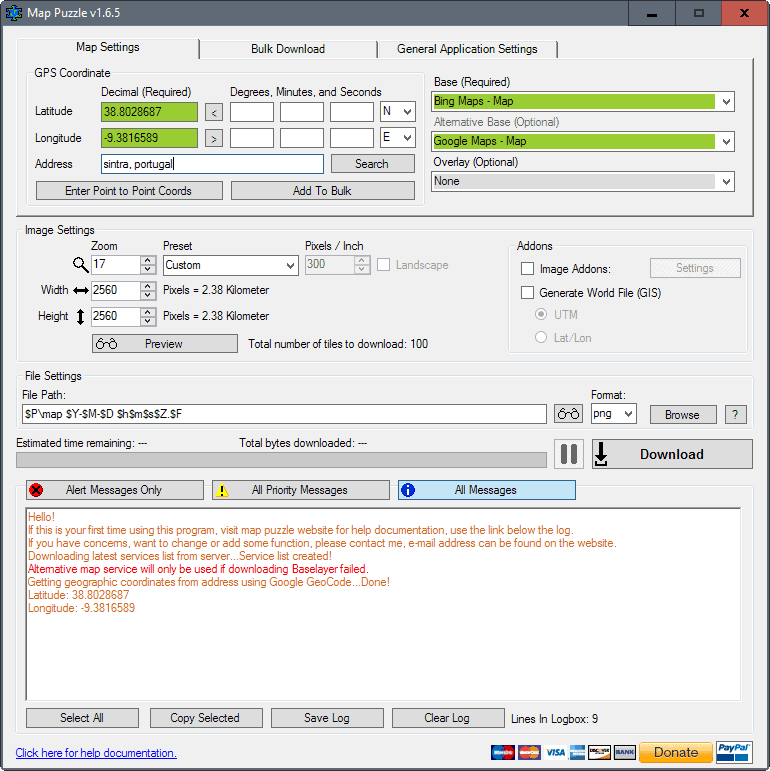 Support includes several RAW image formats, and options to save images to a different format. FastStone Photo Resizer for Windows gives you full control over image resizing and manipulating jobs. Use the program to batch resize images, and to manipulate them in other ways including cropping, rotating, or adding watermarks to images. 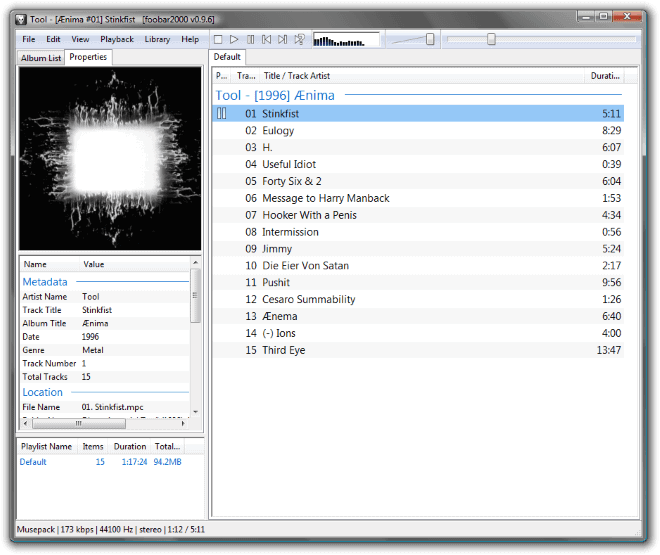 Foobar is a long standing lightweight audio player for windows that supports most formats out of the box, and many others by installing component files. It is a highly customizable player, and its source code is provided as well. The versatile converter supports the majority of formats out of the box. You can use it to convert video files into a different format, including audio only or DVD video. 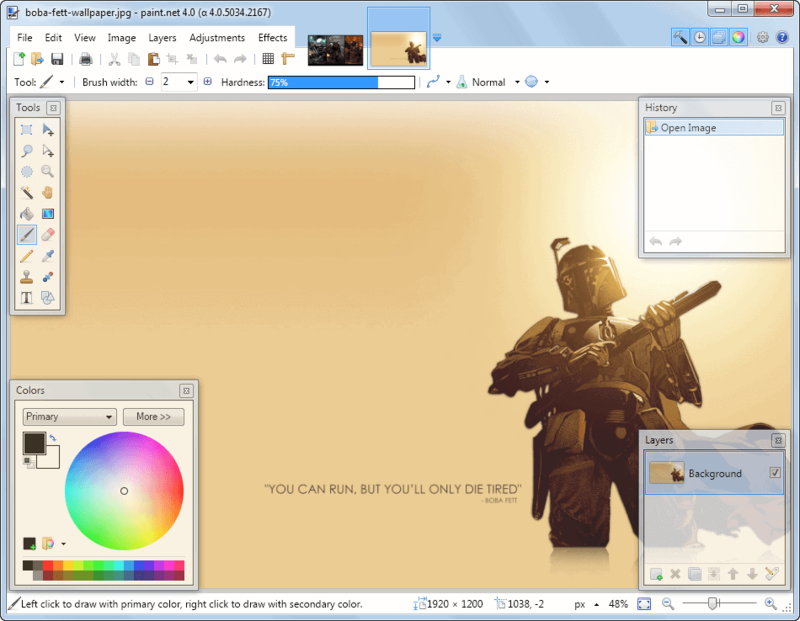 GIMP is a popular cross-platform image editing suite. It has a lot to offer, and while not as complete as Photoshop, it comes close and should be sufficient for most users. 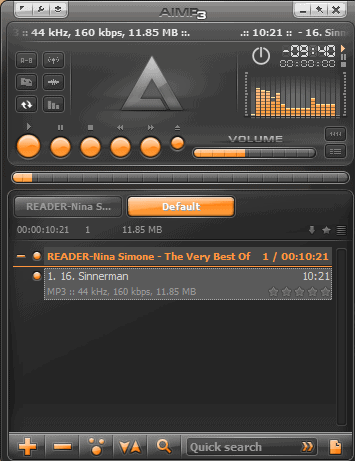 Miro is an open source audio and video player. What makes it special is that it enables you to subscribe to Internet channels, or tune into live streams right away from its interface. 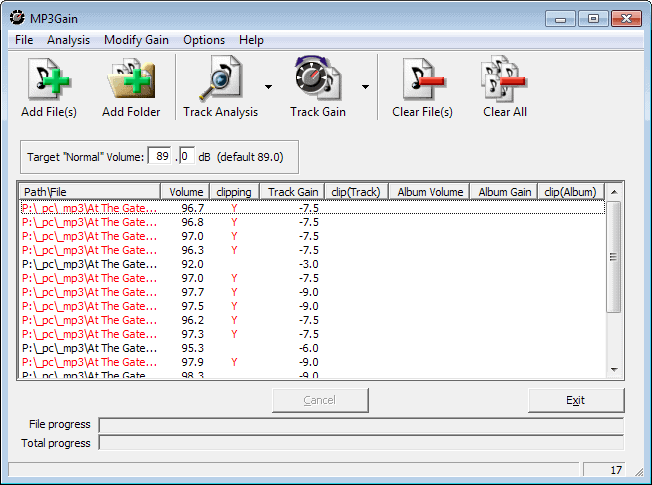 You can use the program to normalize the volume of your mp3 collection so that you do not have to raise or lower the volume constantly depending on the file you are listening to. 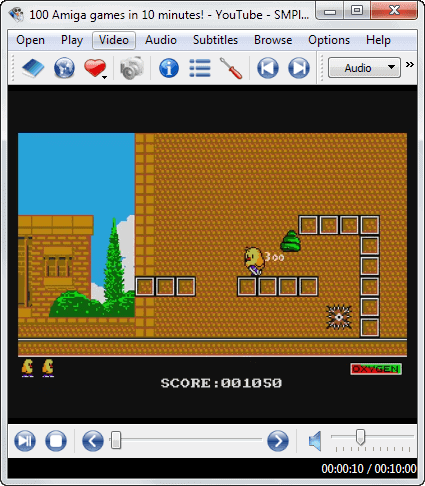 Bee is an excellent media player and management program for Windows. The program can play all common audio formats and many uncommon ones, may be used to manage your audio collection, listen to Internet Radio stations, and a lot, lot more. Paint.net is one of the best free image editors for the Windows operating system. While no Photoshop, it comes close enough for most users. The free program enables you to go quickly through a collection of photos or images stored on your computer. It uses custom directories that you define and shortcuts that it associates with them to file the photos with a single key press into one of those folders. 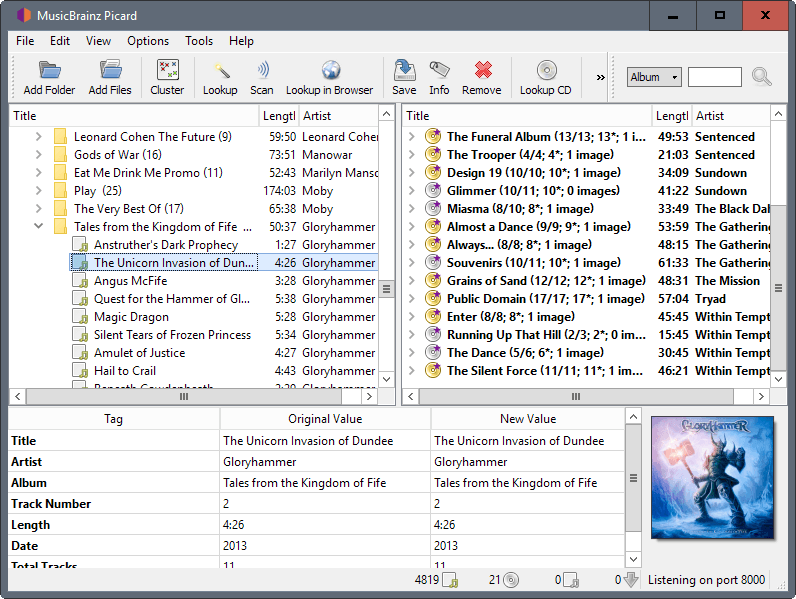 Picard is an audio tagger that is available for Windows, Mac and Linux. One of the strongest features of the program is its connection to various online databases which it uses to pull information so that you don't have to fill them out automatically. This is, without doubt, one of the best audio taggers out there. You can use QGifer to create animated gifs. Simply load a video into the program, select the starting and end position of the video that you want turned into an animated gif, define other features such as the desired width and height, and start the process. 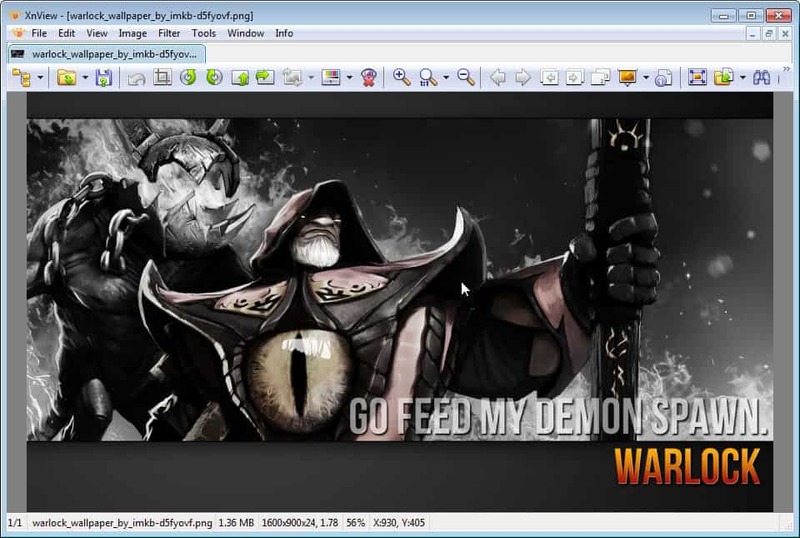 Riot is an image optimization program that tries to reduce the size of images without changing the quality in the process. 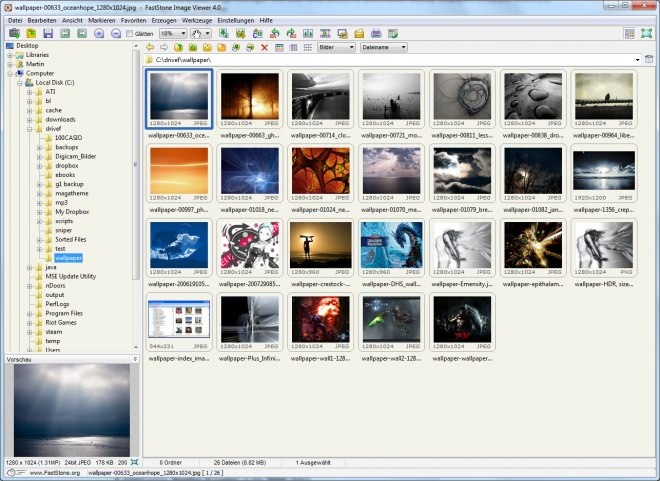 Screenshot Captor improves the screenshot taking functionality of Windows tenfold. You can use it to take various types of screenshots -- full screen, windowed or scrolling for example -- and also edit them right after you have taken them, or have them saved directly without that. The application has been designed to improve playback quality on Windows PCs. 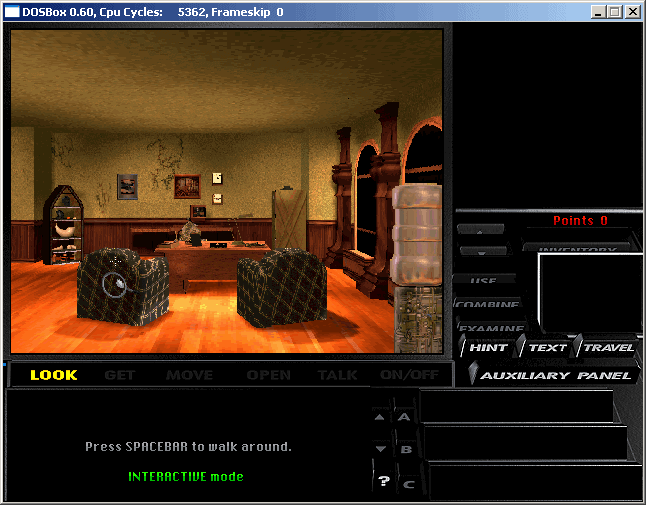 It uses various techniques to reduce or eliminate lag, frame drops or stutters which you may experience during playback. A highly efficient media player for Windows that plays all media files out of the box regardless of codecs installed on the system. 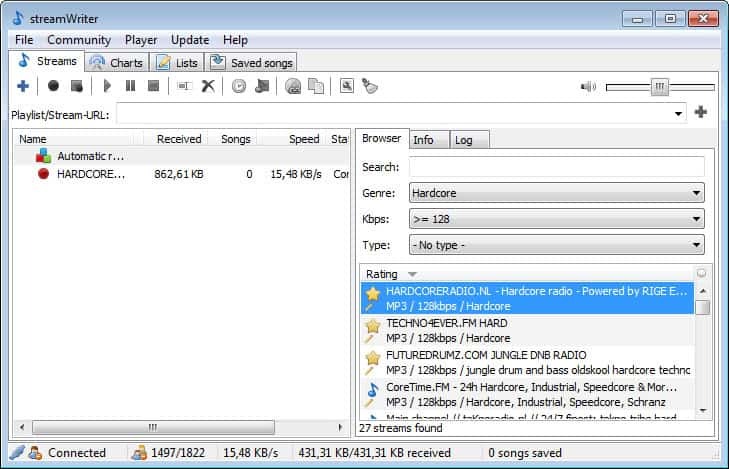 If you want to record Internet Radio, then StreamWriter is the program to go to. It can record as many streams as your PC and Internet connection is capable of. 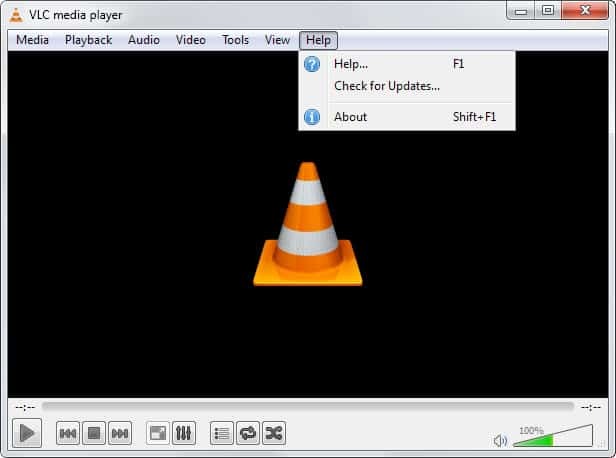 VLC Media Player plays all major -- and many minor -- audio and video files out of the box. It is a versatile media player that is constantly improved, supporting other features such as Internet streaming or disc playback as well. The free screen recorder enables you to record part of the desktop screen, or all of it using an easy to use interface. 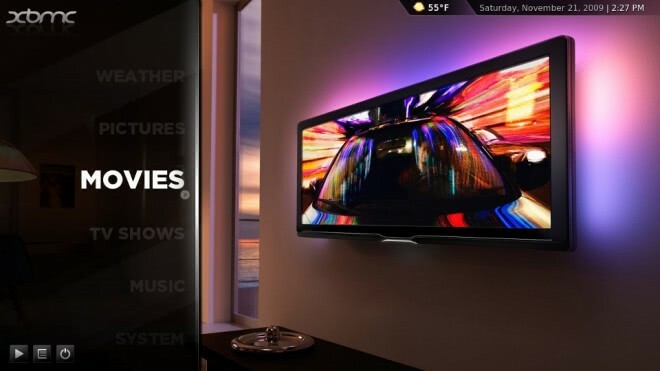 Kodi is a media center that can be installed on a variety of devices including PCs but also mobile devices. It provides an interface that you can make use of to play media files from local, network and remote storage. XnView is a blazingly fast image viewer for Windows. It supports a plethora of different image formats, and ships as a portable version or setup file. Software that improves the productivity in one way or the other. Apache OpenOffice offers an alternative to Microsoft's Office suite. It ships with a similar set of tools, and while some things are not equal yet, it should do for the majority of users. 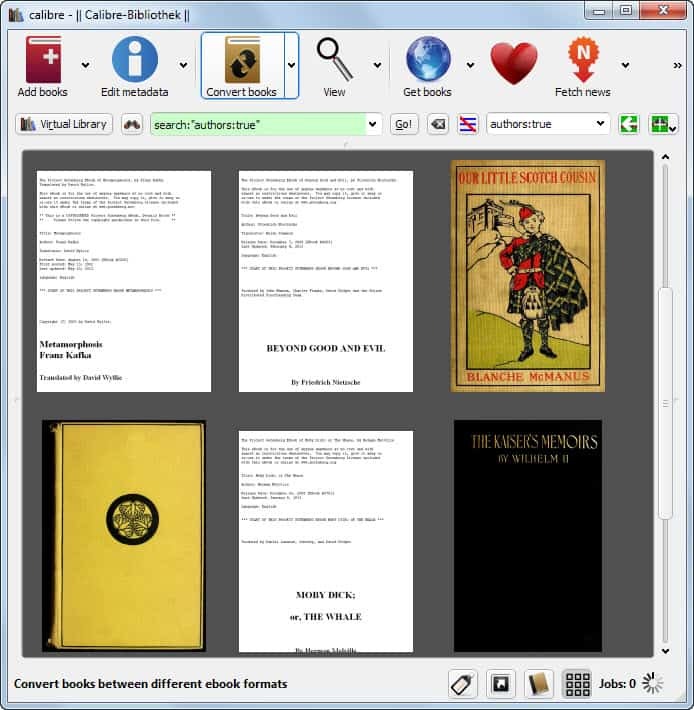 Calibre is an ebook manager and reader application. It offers many advanced features, like a virtual library, the auto-generation of a table of contents, or different view modes. 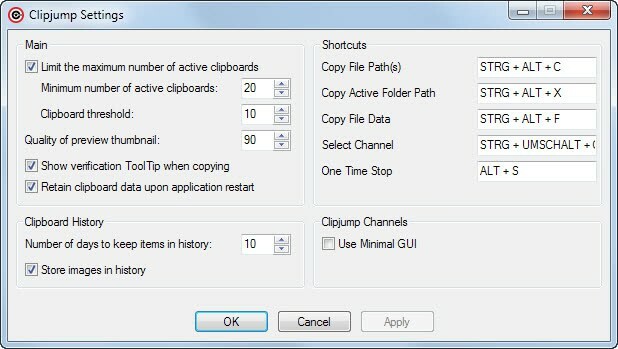 Clipboard Help+Spell is an advanced clipboard program that not only improves the copying to clipboard process, but adds a lot of different options to it as well. This includes auto-formatting text or looking up information on the Internet via the program's Quick Action feature. The Clipboard manager adds a lot of options to the Windows Clipboard. From access to the history, to advanced shortcuts, and all that as a lightweight program that you will barely notice. 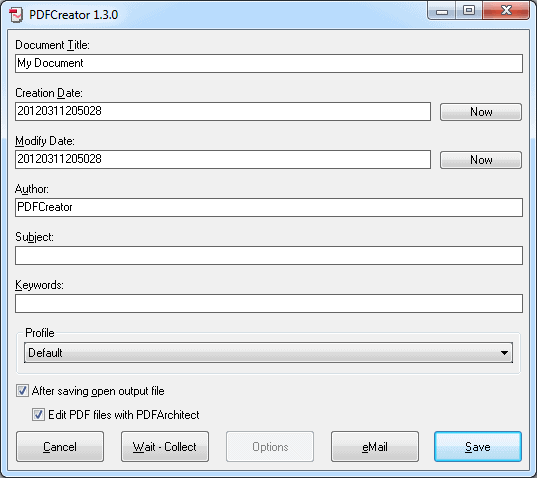 The free program doPDF creates a virtual printer on your system that you can use for the creation of PDF documents. 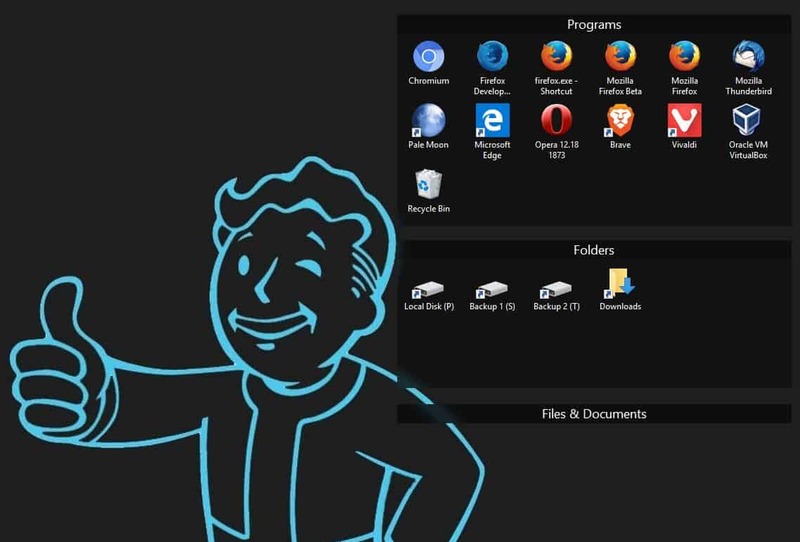 Fences brings order to your Windows desktop. It achieves this by creating so called fences on the desktop that contain one or multiple shortcuts. You can show and hide these groups, move the group around, and run a variety of options on them to change how the fences look and behave. 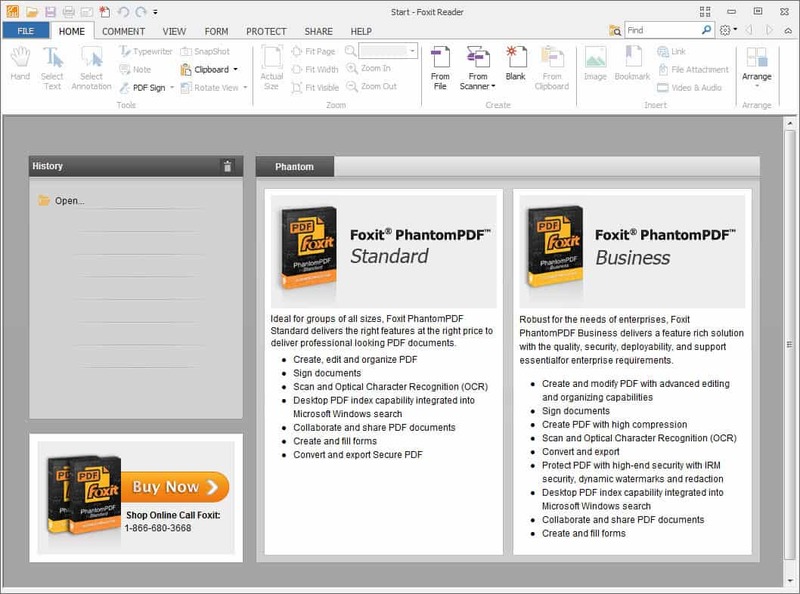 Foxit Reader offers a fast alternative to Adobe's free PDF Reader. It offers some features in addition to that, a virtual printer for example that you can use to create PDF documents using it. 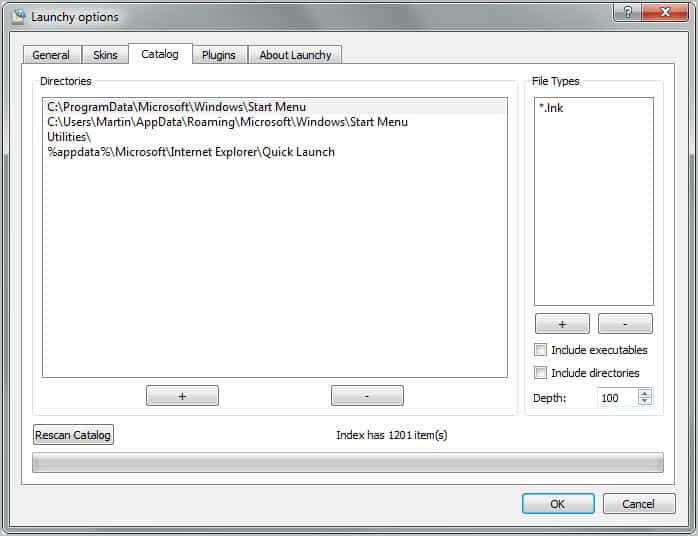 Launchy is an Open Source file launcher for Windows. It supports skins and plugins, and can speed up the finding of specific documents or files on your system. LibreOffice started as a spin-off of OpenOffice, but has since evolved from there. It does share the core with OpenOffice though, making it another excellent Office alternative for Windows. 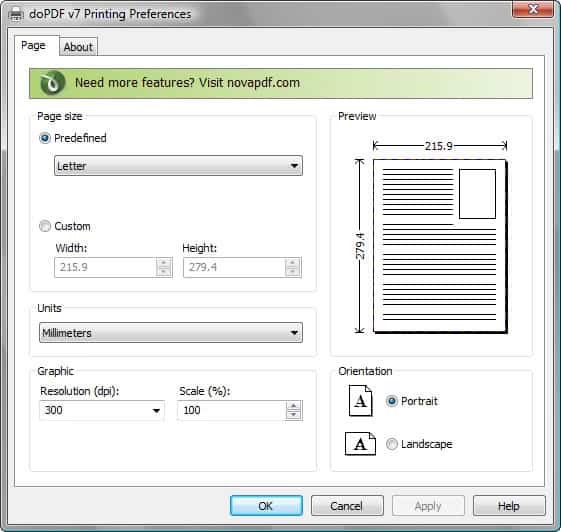 The program installs itself as a virtual printer that you can use to create pdf documents. 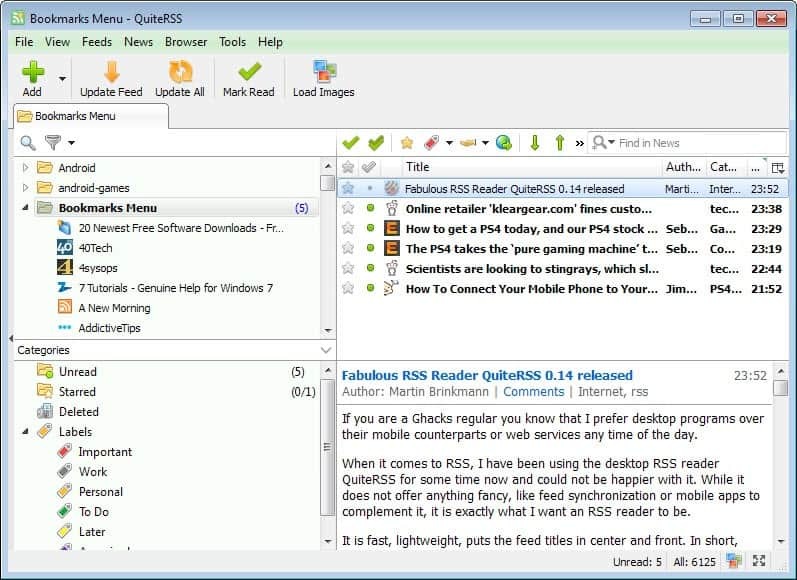 A lightweight RSS reader for Windows. It supports all major features one would expect, with the exception of synchronization between different devices. The text replacement software allows you to replace, add, or remove text from text files that you load into the application interface. It ships with a great set of features that makes the process as easy and comfortable as possible. Each change is displayed as a preview next to the original text, so that you can see the outcome right away before you apply the changes. You can track your activity on your PC with the help of the program. It keeps track of running processes and window titles so that you know exactly how much time you spend in a browser like Firefox or on a site like Facebook. 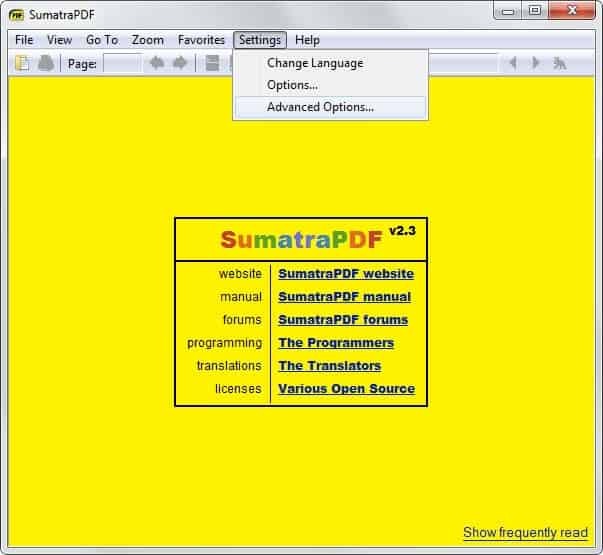 If all you need is a fast PDF reader, then Sumatra is an obvious choice. It can read a couple of other formats besides PDF as well. Teamviewer is a remote support software that you can make use of to take control over a remote PC. It is excellent for tech support, but also for other purposes such as demonstrations. 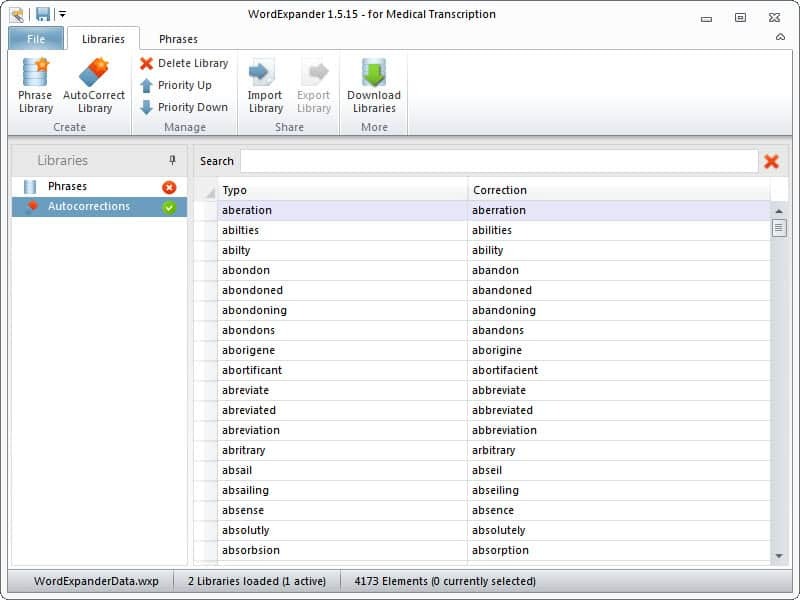 Word Expander provides you with access to a global spell checking tool. You can use it to correct words in nearly every Windows application. Security software that protects the operating system from harm, hardens it, or offers means to remove damage that has been done is listed here in this category. 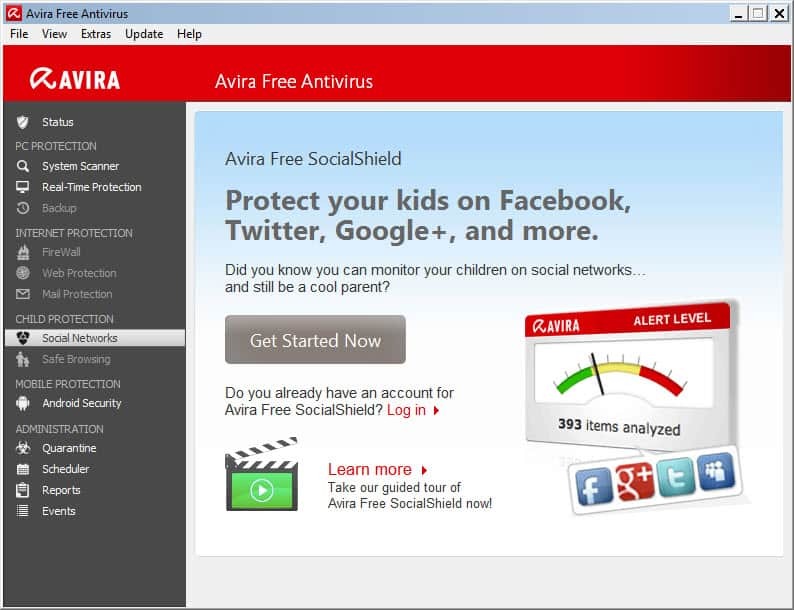 Avira's free antivirus solution for Windows adds malware protection to the system. While it lacks some features that commercial security programs ship with, its own firewall for example, it is still suitable to protect user systems from harm. 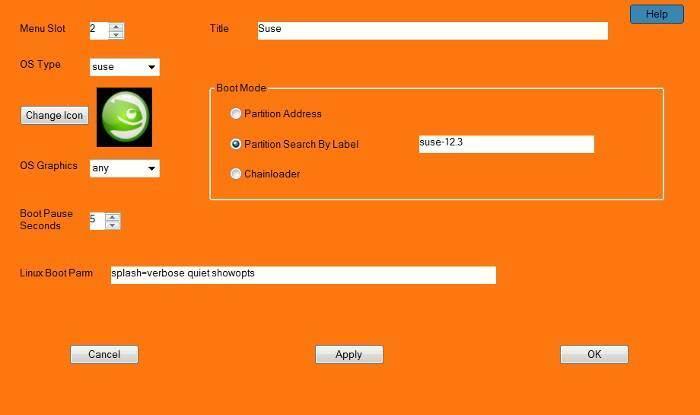 BufferZone Pro is a sandboxing application for windows. It ships with a set of programs that it puts into a sandbox automatically -- web browsers for example -- and gives you options to add others to it as well. CCleaner scans the system for file leftovers and temporary files, so that you can remove them to free up disk space or remove files for privacy reasons. If you install CCleaner, do not forget to install CCleaner Enhancer as well. rowdInspect is a second opinion scanner for Windows that scans running processes for malware in realtime using services such as Virustotal. While it is not the first line of defense, its portable nature makes it ideal for checking all running processes and programs regularly on Windows. 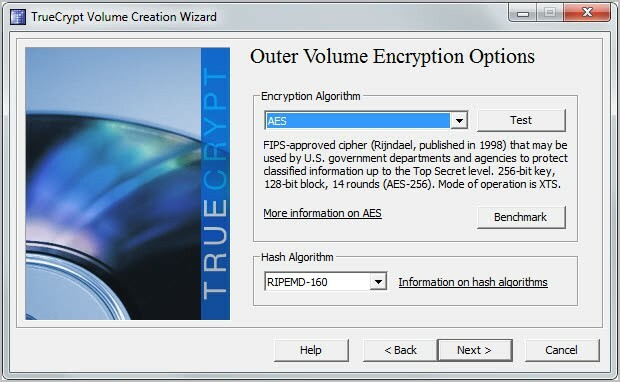 DiskCryptor is an easy to use alternative to the excellent True Crypt encryption software. The program can encrypt partitions, including the system partition. 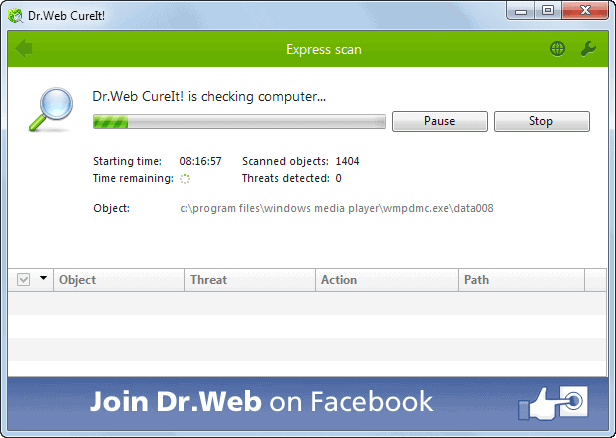 Dr.Web CureIt is an on-demand scanner that you can download and run right away. It will clean your system of malware that it finds effectively. Gmer is an advanced rootkit scanner for Windows. The results that it displays need interpretation which makes it less than ideal for inexperienced users. 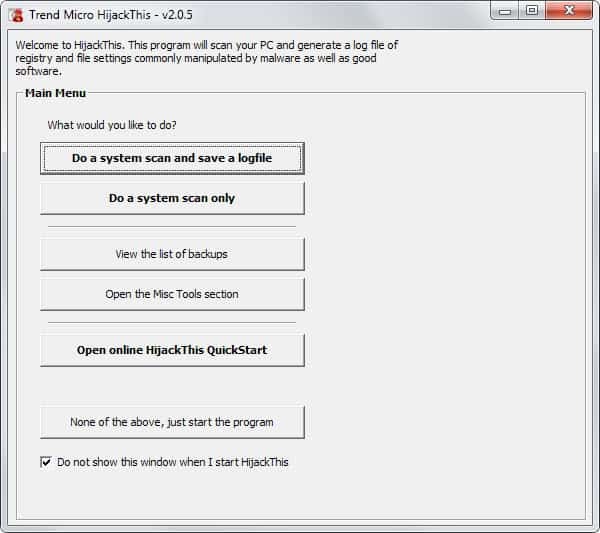 HiJackThis scans important locations of the PC to display all information to you in the end. The program requires some knowledge or help, as it is necessary to interpret the results. HitmanPro is an on-demand scanner that takes over when resident security software failed to detect, block or remove a threat. 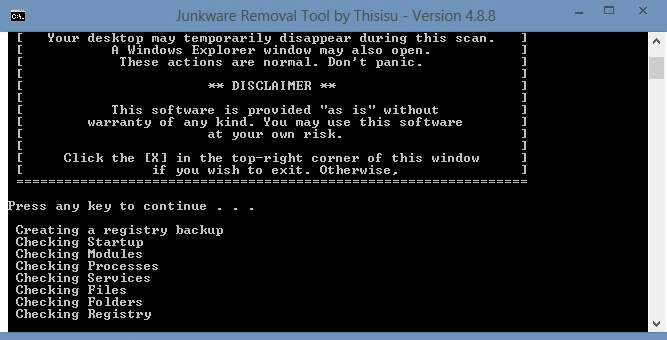 The Junkware Removal Tool scans the system for browser toolbars and other unwanted software. You then have the option to remove those programs from your system. KeePass is a flexible password manager for Windows. It shines on its own, but can be extended through the use of plugins and third party programs. 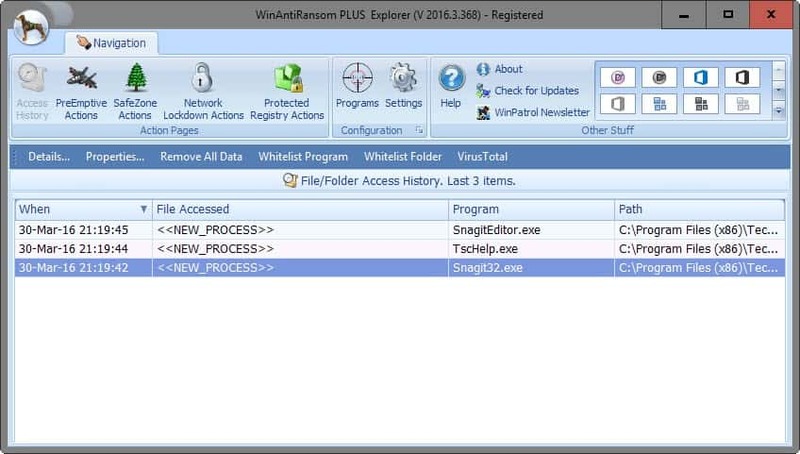 A popular highly efficient malware scanner for Windows. Deemed by many as the best in terms of detection rates, and available as as free and paid (adds real-time protection) version. 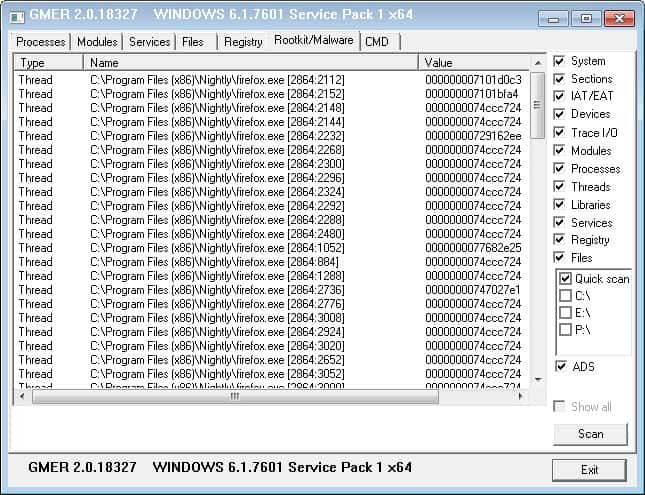 The free program scans your PC system for rootkits. It can be used to remove rootkits that have been discovered on the system. 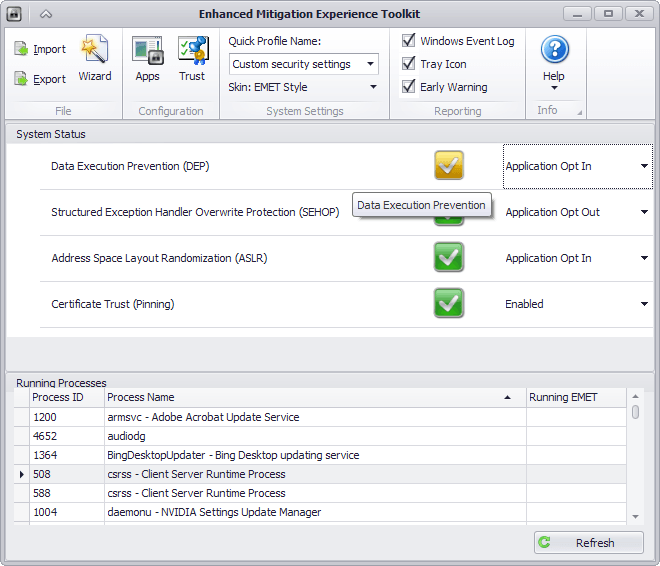 EMET protects the PC from exploits that have managed to bypass the computer's security. It can mitigate several known exploit techniques, rendering the exploits useless in the process. Peerblock blocks certain IPs from making connections to your PC. Originally designed to block governments, media companies and rights-holders from connecting to your computer during P2P sessions, it is now used for a variety of privacy-related scenarios as well. PrivaZer scans for leftover data and data that may leak information about you, so that you can remove the data as you see fit. RogueKiller has been designed to remove rogue antivirus software from the computer system. 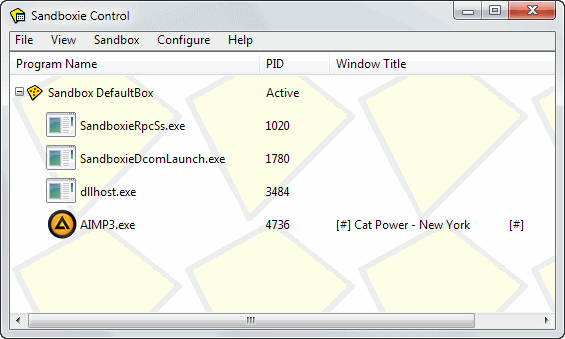 Sandboxie adds sandboxing capabilities to Windows. You can run any application in a sandbox environment, for instance as a security precaution, for testing purposes, or so that all of the generated data gets deleted once you kill the sandbox. You can use the True Crypt encryption software to create encrypted data containers on your system, or to encrypt hard drives on it directly. Use VeryCrypt instead which is based on TrueCrypt but still in active development. 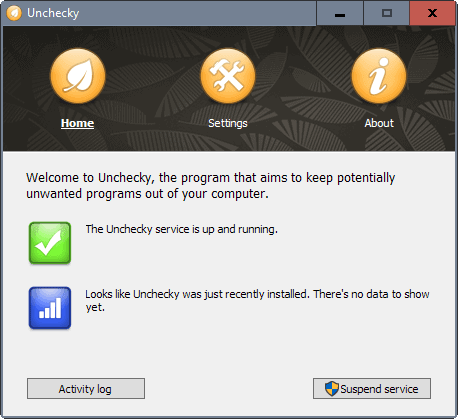 Unchecky runs in the background to protect you from unwanted software installations. It disables, or unchecks, optional components during installations so that you don't end up with unwanted programs, adware, toolbars, or changed search or homepage settings in your browser of choice. The security program has been designed to protect the system against all forms of ransomware attacks. It does so using several methods and protection features, including whitelists, different layers that programs have access to, and a lot more. 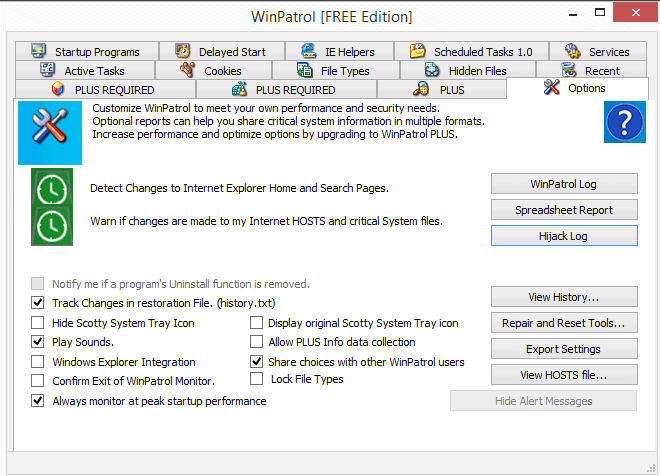 WinPatrol monitors the Windows system for changes and informs you about them, so that you can stop them from happening. 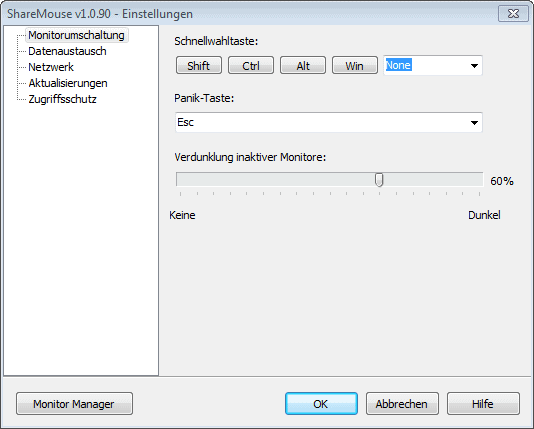 It monitors autostart for example, so that you are informed about any new program that attempts to add itself to it. All system tools are listed here. From system maintenance tools to tweaking software. 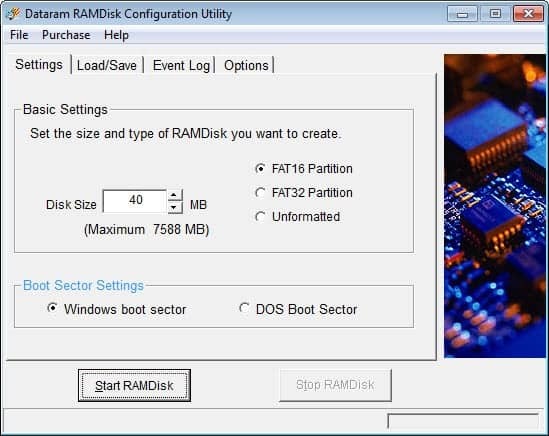 The free program provides you with options to create a ramdisk on the system. Basically, what it enables you to do is part with some of the system's RAM to create a fast disk made of RAM. 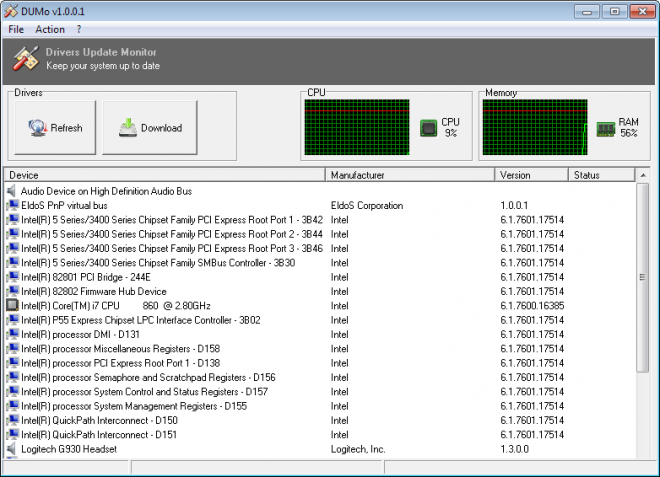 If you need to analyze the startup of windows, Autoruns is the program to do so. It displays everything that gets loaded by the operating system during start, and provides you with options to uncheck programs that you do not want started with it. 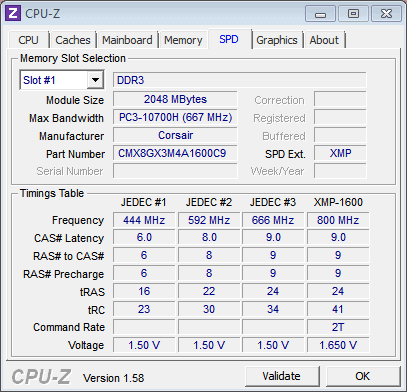 CPU-Z displays heaps of information about the processor, mainboard and memory of the computer it is run on. Great for making sure the hardware is as advertised, or to check upgrade potential. 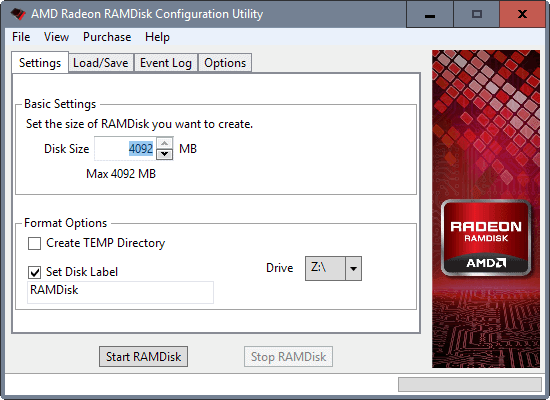 Use the application to create a ramdisk on your system. It behaves like any hard drive on your system, with the core difference that operations are a lot faster thanks to being stored in RAM, and that all data is deleted when you shut down the PC. Microsoft has built-in means to defragment drives on Windows regularly in newer versions of Windows. Defraggler adds options to the process and provides you with the means to control it manually as well. DISM++ is a sophisticated optimizer for Windows that ships with plenty of cleaning options among other things. It concentrates on Windows-specific locations including WinSXS, Windows Events, Windows caches and more. It offers management features next to that, for instance to manage apps, tweak the system, or set default file associations. 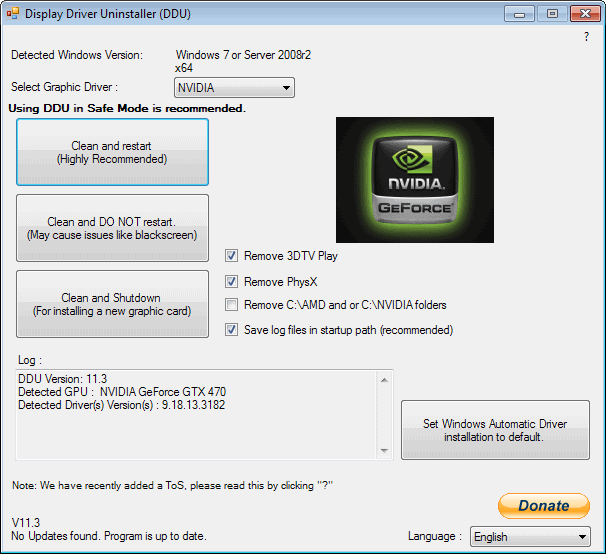 If you want to make sure that the current display driver is installed without leaving any traces behind, for instance before you install a different video card, you can use the manufacturer's software for that, or Display Driver Uninstaller. This program comes into play when the official software does not work properly anymore. 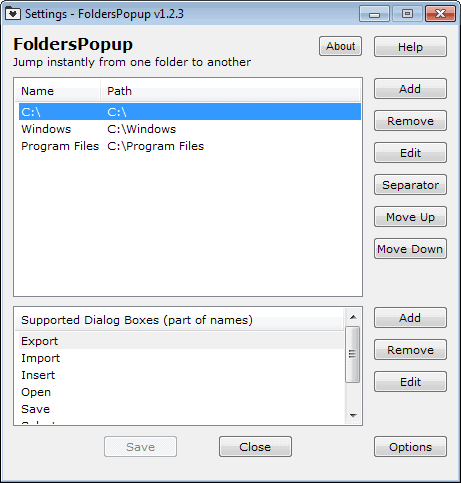 The program makes available a selection of folders that you can access at any time with a middle-click in Windows Explorer and in default save or open dialog windows. 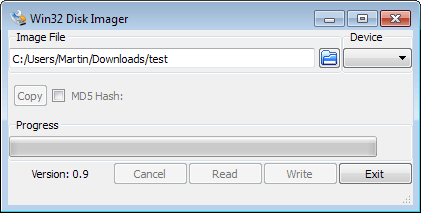 Use the application to add a boot manager to Windows that enables you to boot Windows or Linux distributions installed on the PC. GPU-Z displays all there is to know about the computer's video card. From detailed information about make, model, and manufacturer to clock and power information and supported features. 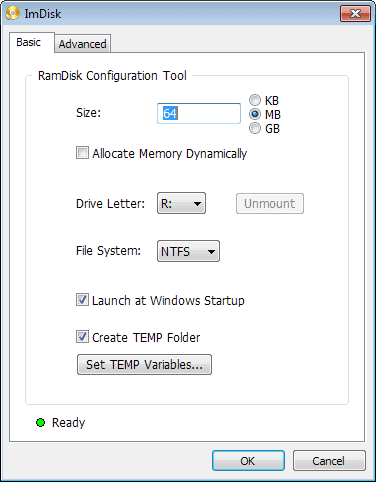 What sets this program apart from other "Ramdisk" applications is the fact that it can create ramdisks that are dynamic in size. Instead of using up the same amount of RAM all the time, this one only uses as much RAM as is needed to store the data. 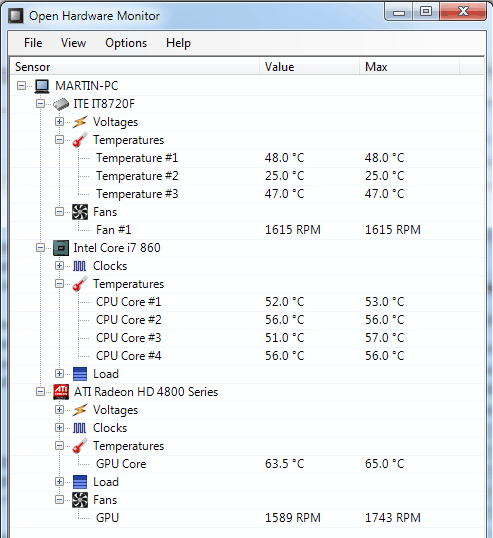 Open Hardware Monitor displays detailed information about the installed components of the PC. This includes information about the motherboard, cpu, RAM and hard drives, as well as additional information such as temperatures or fan speeds. 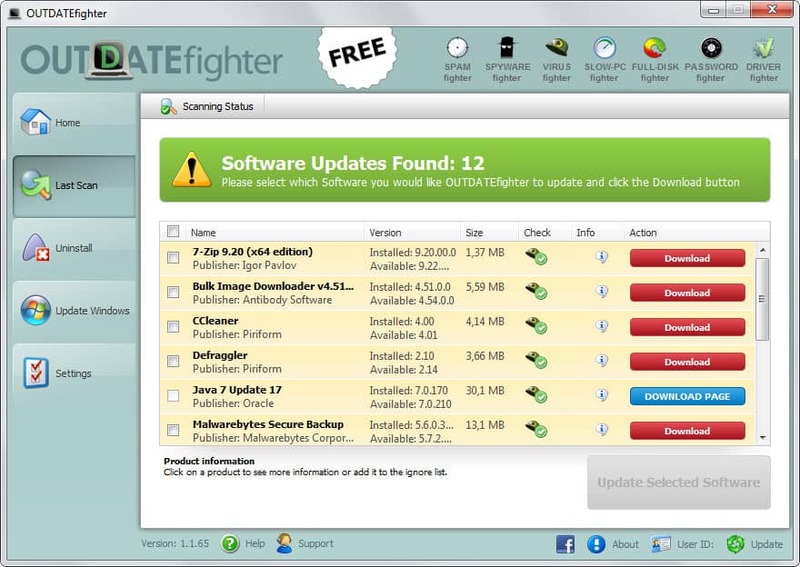 The program scans the system for outdated software and provides you with the means to download updates for those programs so that you can install the latest version on your system. PatchCleaner is a free program for Microsoft's Windows operating system that enables you to delete orphaned (no longer needed) patches the system keeps stored for safekeeping. Running the program may clear up Gigabytes of storage space. Process Explorer provides you with -- very -- detailed process information. It highlights all processes that are running on Windows, their dependencies, resource usage, and virtually any other information you may be looking for. try Finder is a third-party editor for the Windows Registry that supports features such as searching hidden keys, jumping to specific keys directly, better search capabilities, and more. A professional uninstaller for Windows that scans for leftovers after the removal so that you can be sure that orphaned files and Registry keys are removed from the PC. Available as a free and professional version. Use the program to remove right-click context menu entries in Windows Explorer that you never use or that have been left over after software installations. 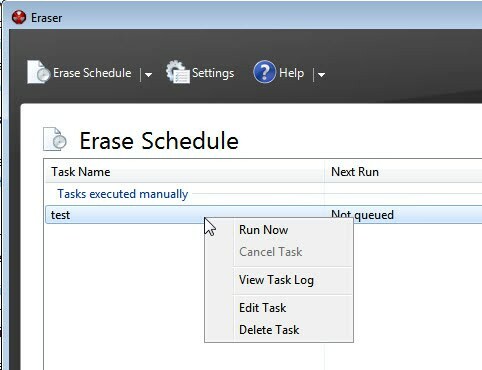 In addition, you can use it to add new items to the context menu to improve your productivity. 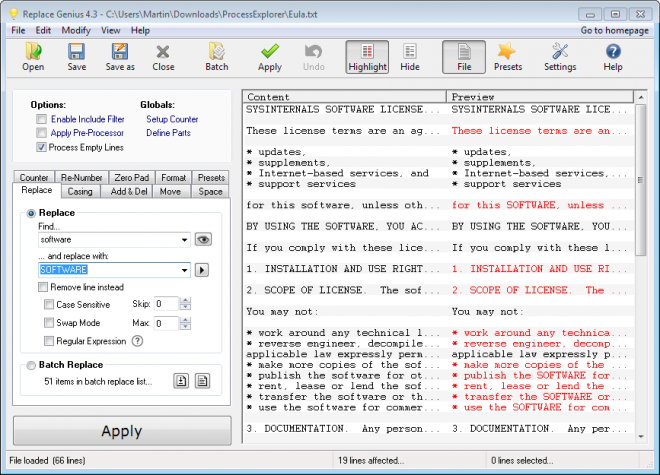 SlimCleaner is a system maintenance tool that ships with an impressive set of features. 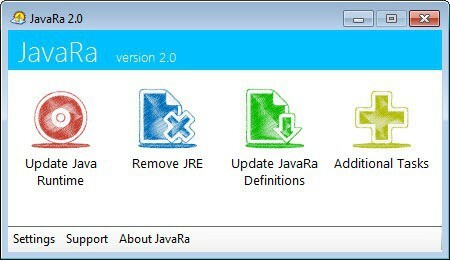 From deleting temporary files to verifying running processes or checking for program updates: its library of tools is extensive and mostly very helpful. 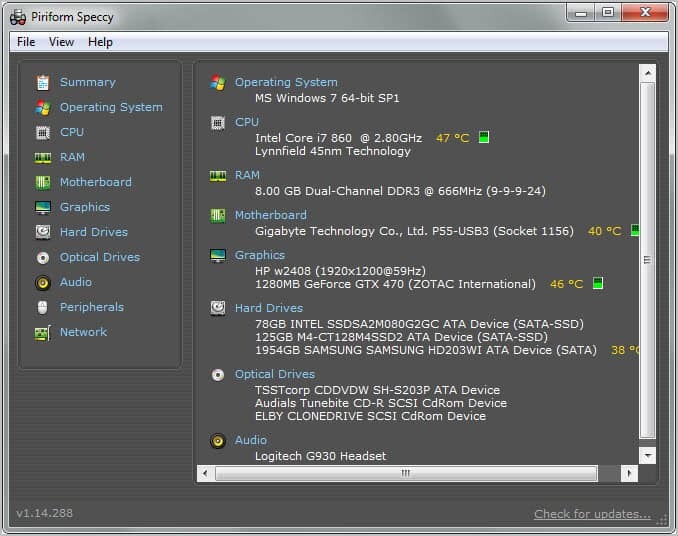 Speccy displays all kinds of hardware information in its interface. From the processor model to the RAM type and graphics card. 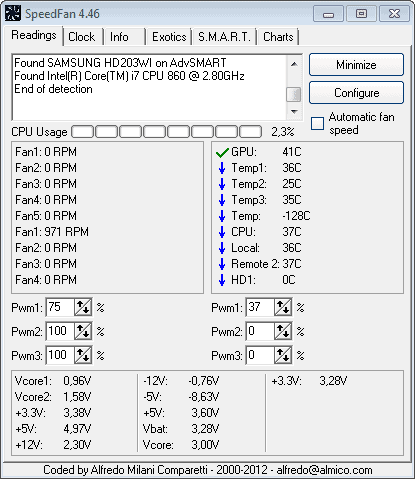 Speedfan monitors fan speeds, temperatures and voltages of hardware supporting it. 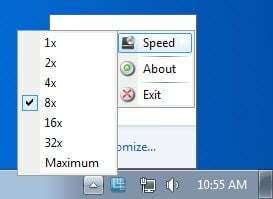 You can use it to regulate the speed of fans on your computer among others things. The Software Updates MOnitor SUMO scans the PC for outdated software, and rates the programs based on the urgency of the update. You can use it to download and install the latest versions of programs as well. 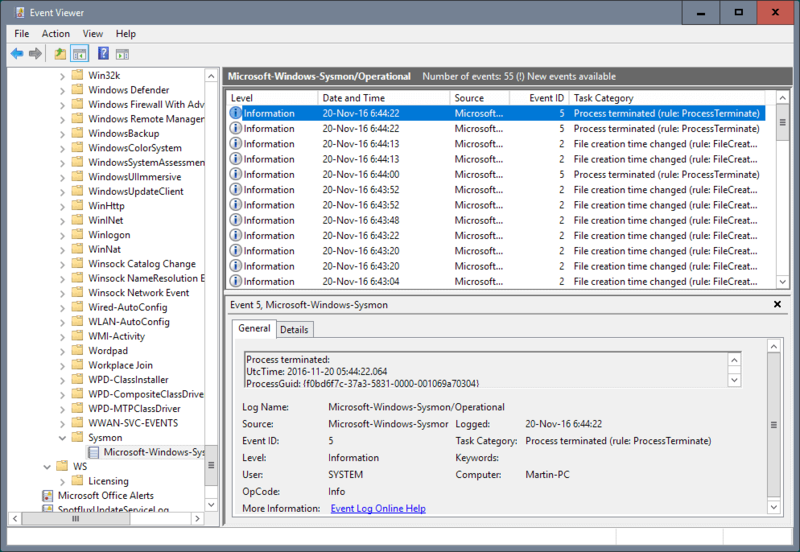 SysMon by Microsoft's SysInternals division adds more than a dozen events to the event log. It monitors actions such as the loading of drivers, the creation of files or processes, network connections, or Registry edits. 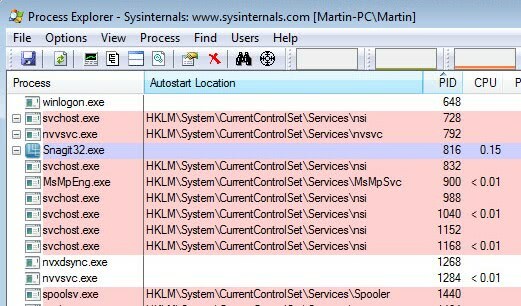 System Explorer at its core is a task manager replacement. Unlike the Windows Task Manager, it will perform operations on its own, like the scanning for malicious processes during startup. 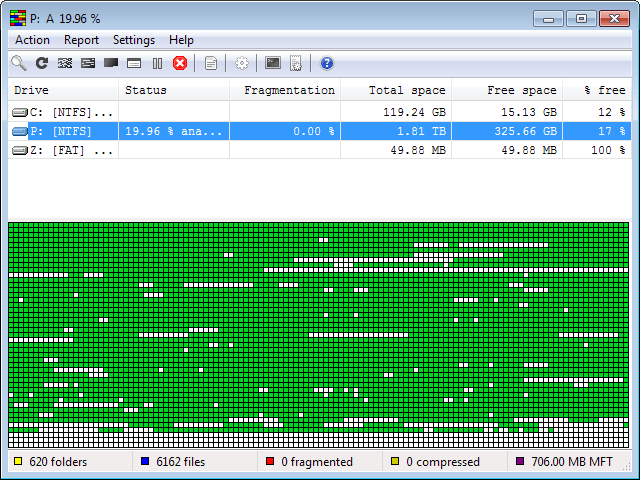 Ultradefrag is an advanced defragmentation software for Windows. It comes as a portable version and installer, and can also be run from the command line. You can use the program to edit the boot menu of Windows Vista or newer versions of Windows. You can use the program to download all Windows updates for a selected operating system version or Office from official Microsoft servers. 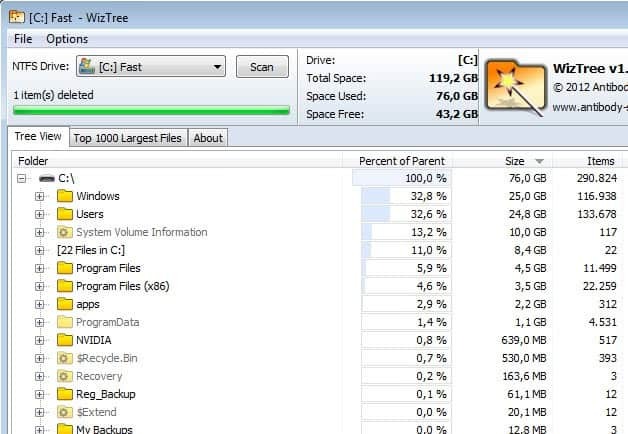 WizTree displays the largest files of a selected drive in its interface. You can either browse a tree view of folders and folders, or browse the top 1000 largest files right away instead. 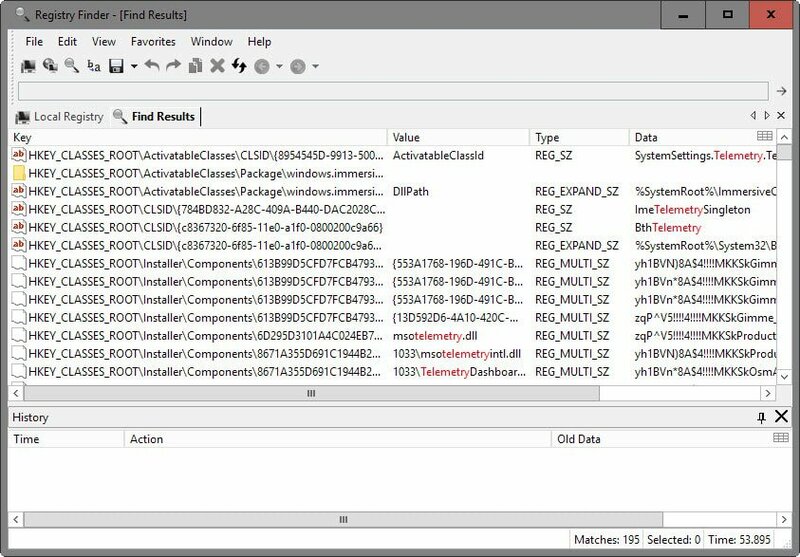 The program enables you to download and manage all Nirsoft and SysInternals applications on the device it is run on. If you need to run DOS programs on Windows, for instance a game or application that does not run natively under Windows, then you can use DOSBox for that. F.lux changes the intensity of the computer screen depending on the time of the day. It may help you sleep better because of it if you are working on the computer until right before you go to bed. The idea to clean the mouse or keyboard usually comes when I'm using the devices. 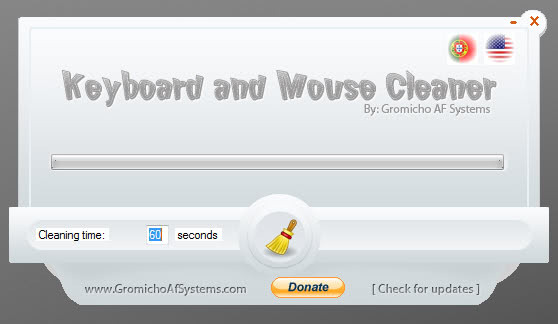 While you can power down your computer to start the cleaning, you can also run this tool instead which locks the mouse and keyboard in place so that you can clean the devices without interference on the screen. 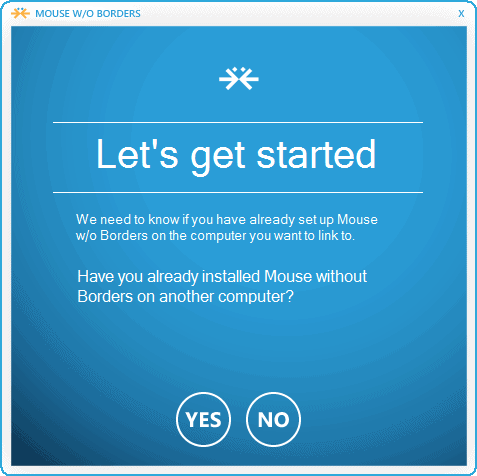 Mouse Without Borders provides you with the means to control multiple computer systems -- connected in a network -- with one keyboard and mouse. 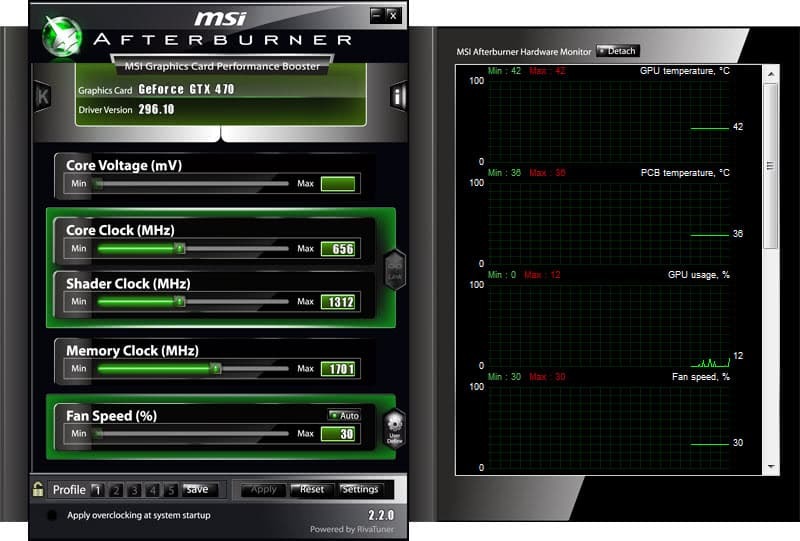 MSI Afterburner works with all kinds of video cards, not only cards by MSI. You can use it for a variety of purposes, from over- or underclocking to recording game videos. 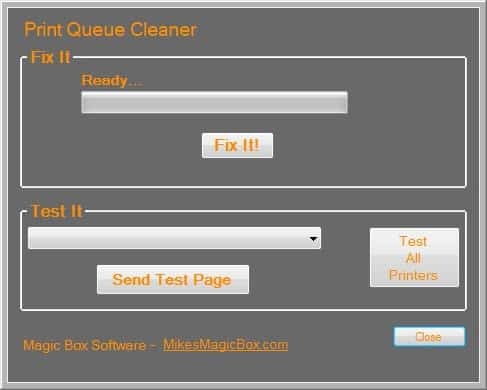 This simple program will clear stuck printer queues so that you can start to use the printer for print jobs again. 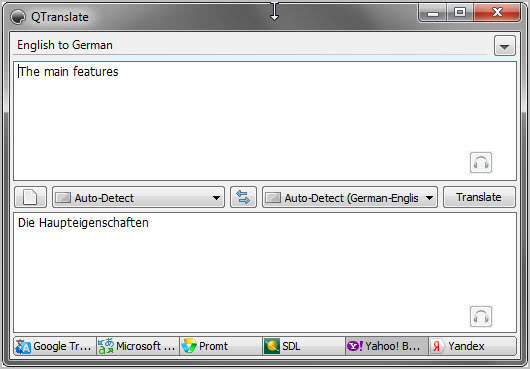 QTranslate is an interface for several translation engines that you can run on your desktop. It supports Google and Microsoft Translate among others, and can display translations as an overlay on many programs on the system. Rimhill can reduce the maximum rotation speed of optical drives to reduce the noise the device makes when it is in use. The program lets you use one keyboard and one mouse to control multiple computer systems. The application gives you control over all mouse buttons, so that you can remap them as you see fit. In addition to that, it supports multiple layers which act like profiles that you can switch between. These links point to websites of some of the best software developers in the world. 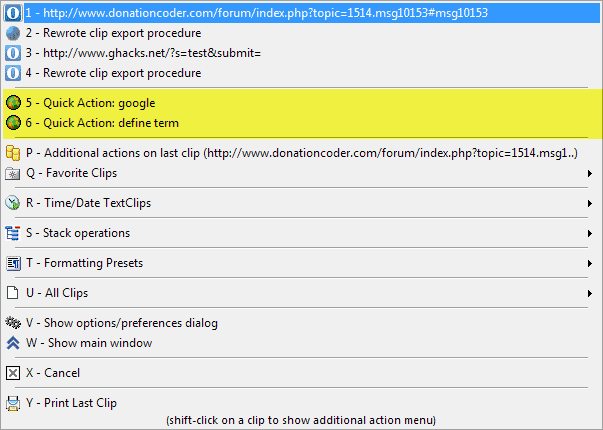 Donation Coder - An excellent resource for small lightweight programs that improve how you work in numerous ways. A wealth of information and a very helpful staff make this one of the best free software destinations on the Internet. Nirsoft - Nirsoft is a long-standing software developer. The programs created by Nir Sofer are all portable and highly useful. Most serve a very specific purpose and excel at that. 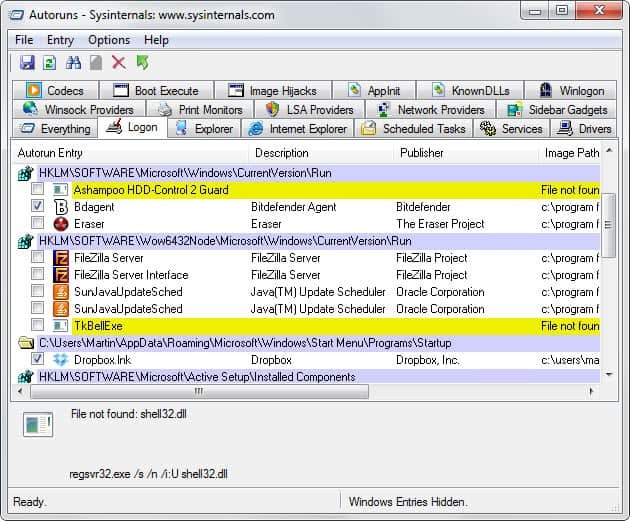 Sysinternals - Even though Sysinternals has been acquired by Microsoft, the company has continued to release updates for its great arsenal of tools. A compilation of the best Windows software sorted into categories such as productivity, security or development.